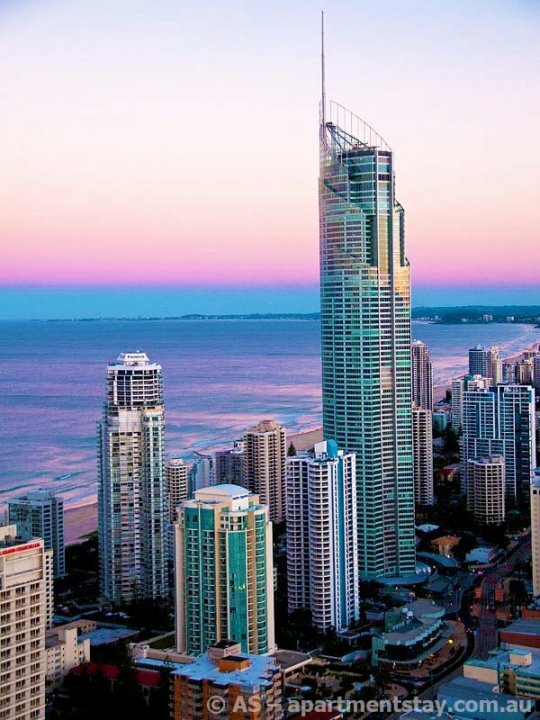 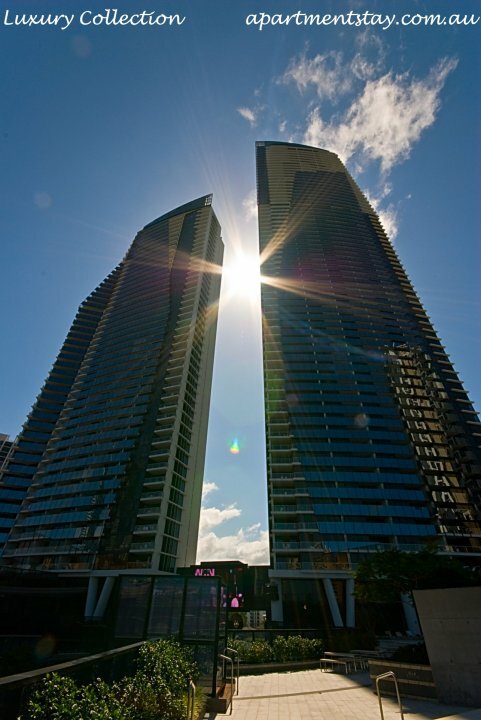 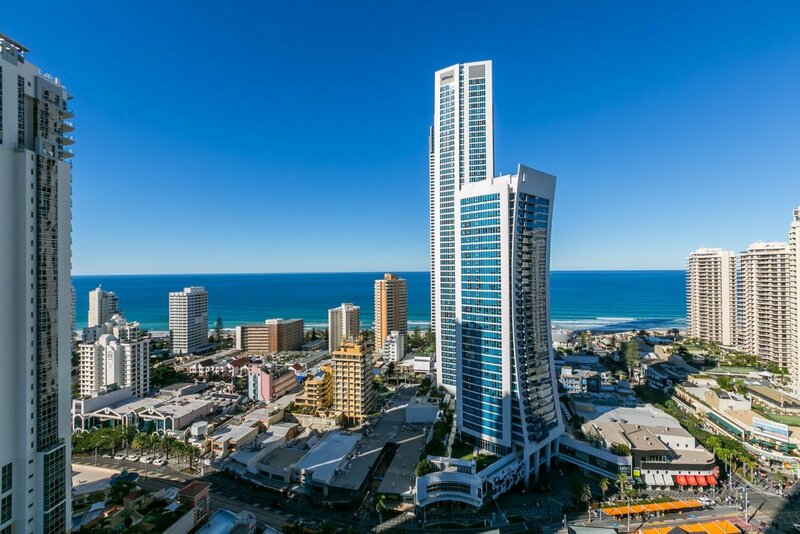 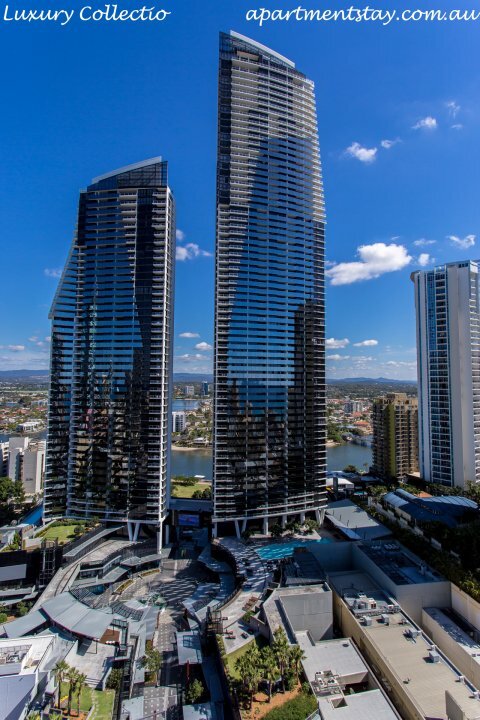 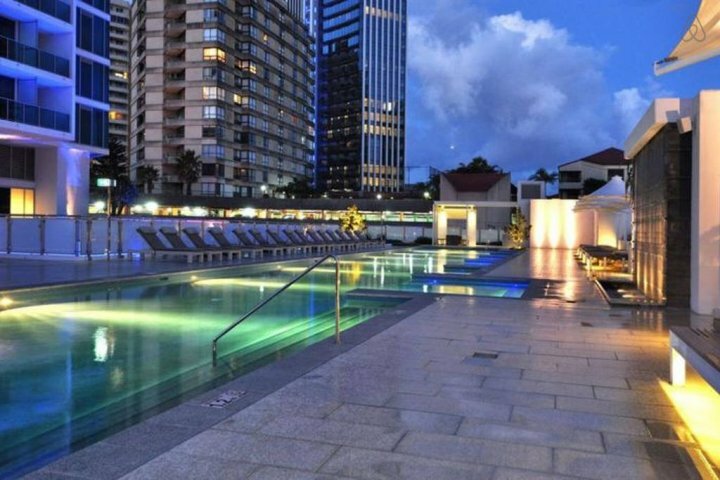 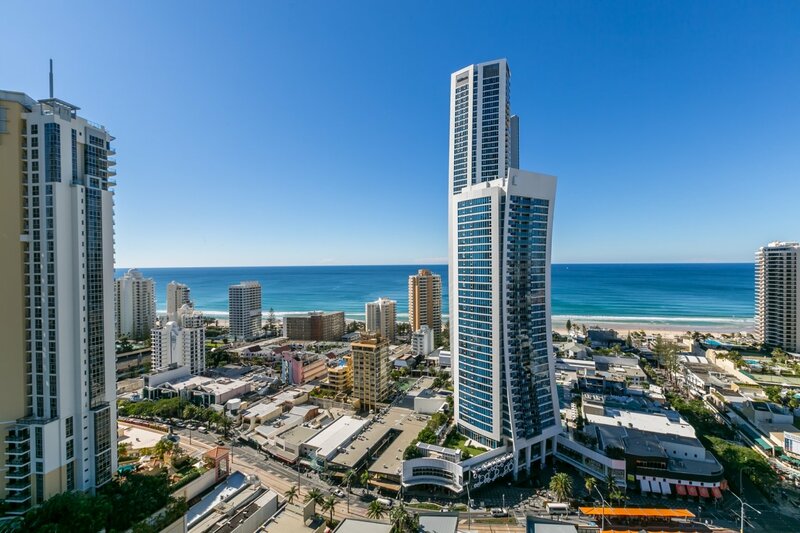 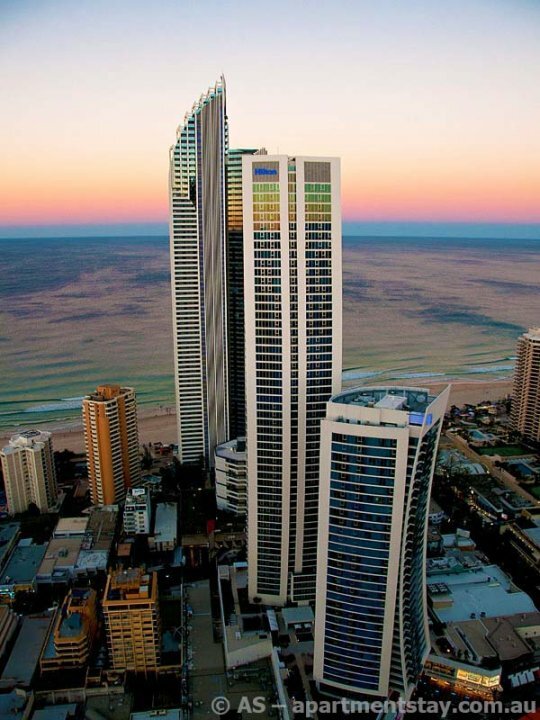 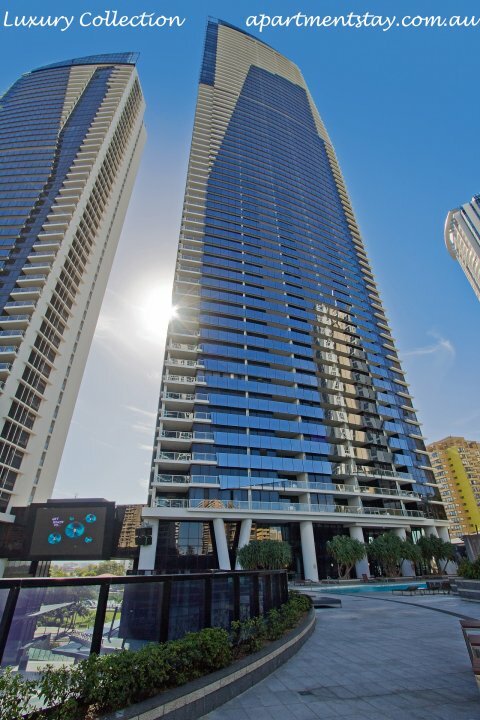 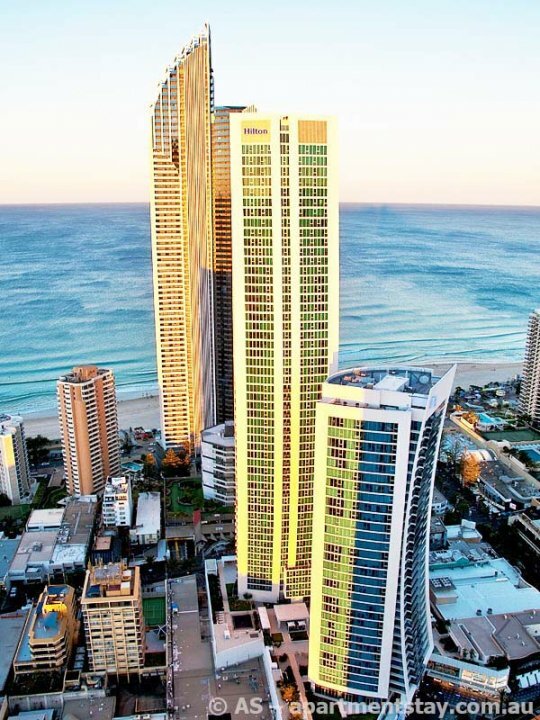 The Circle Skyrise and HighRise resort contains two supertowers of 48 (SkyRise) and 67 stories (HighRise) respectively, and is located in the heart of the revitalised Surfers Paradise. 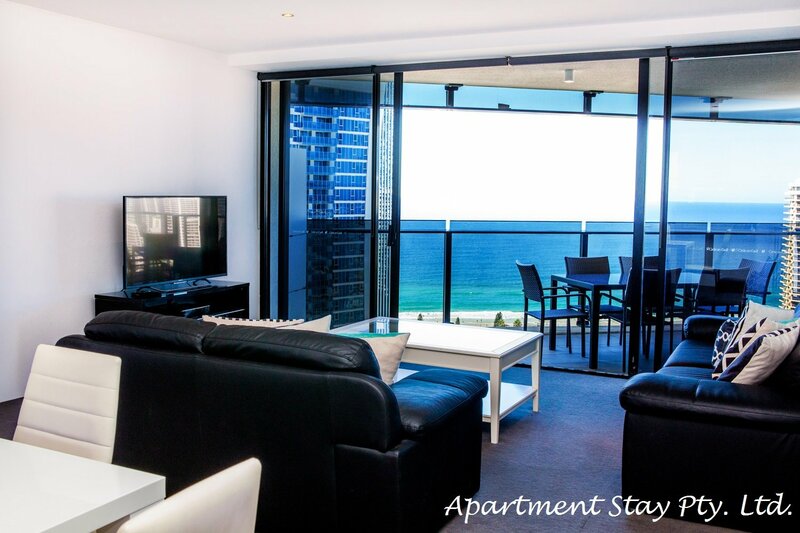 It is only 500 metres from the beach, an easy stroll. 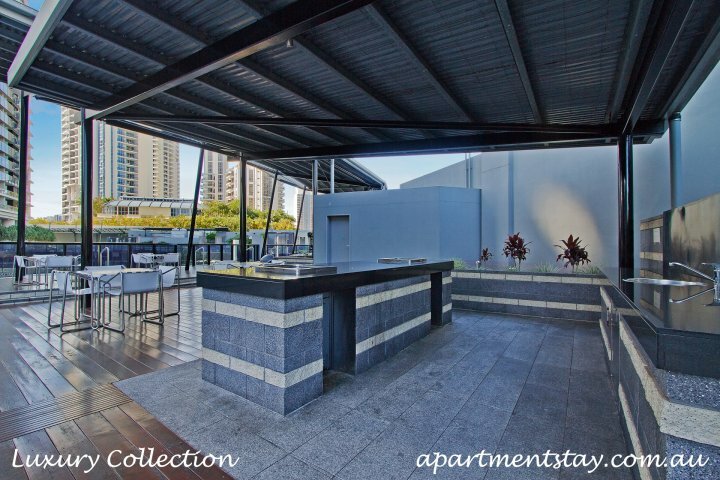 It offers large, comfortable and spacious apartments equipped with stylish kitchen and open plan living perfect for entertainment, with a variety of floorplans and aspects, luxury 4.5 star resort facilities, including 3 pools (2 lagoon style, and 1 lap), large fully equipped gym, spa, sauna and steamroom facilities, games room, children play area. 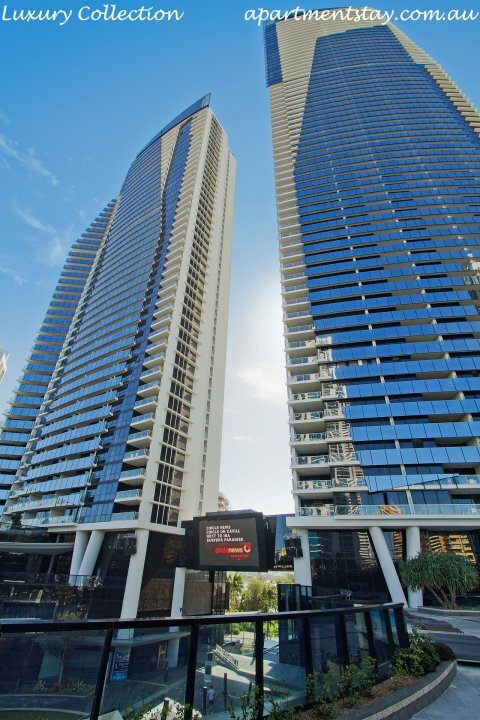 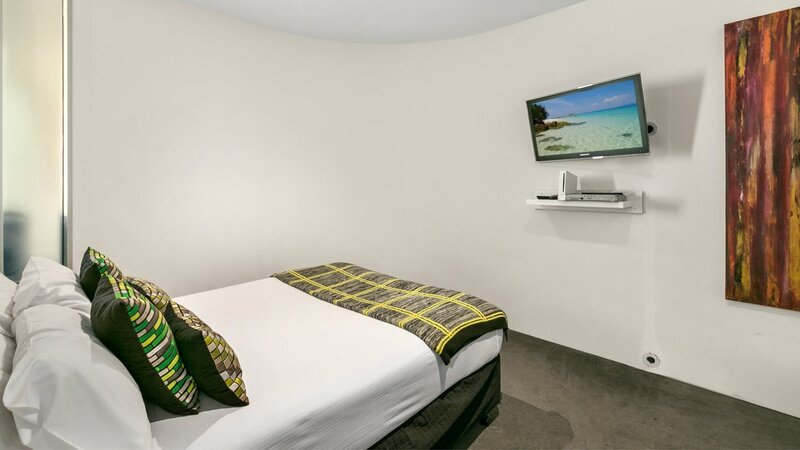 The ground floor piazza opens out on to the heart of Surfers Paradise with fine restaurants, dining, luxury retail stores close by, and also sports a large outdoor TV screen. 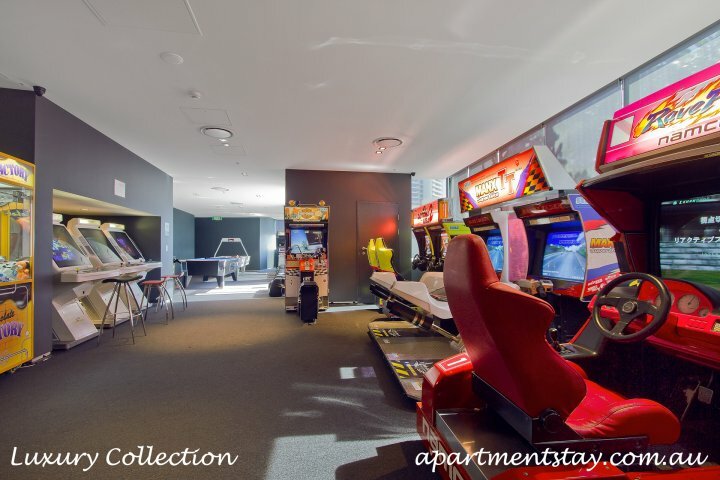 It is also ideally located for easy transport to theme parks, from the bus stop directly outside the complex. 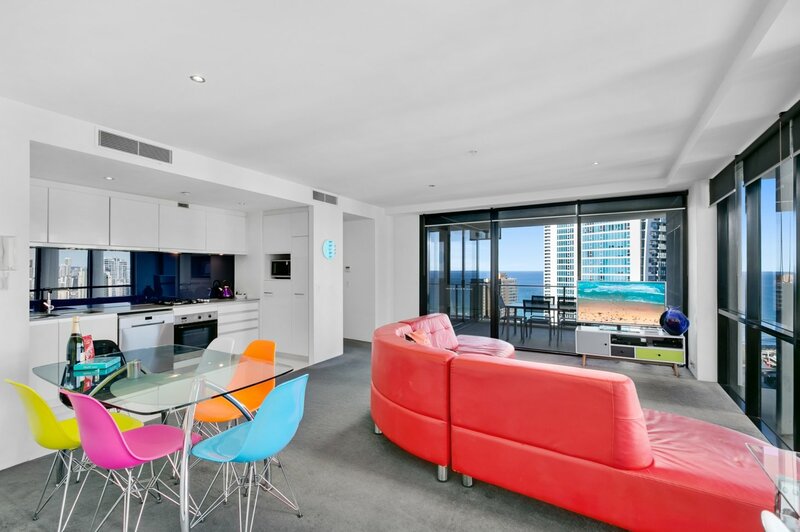 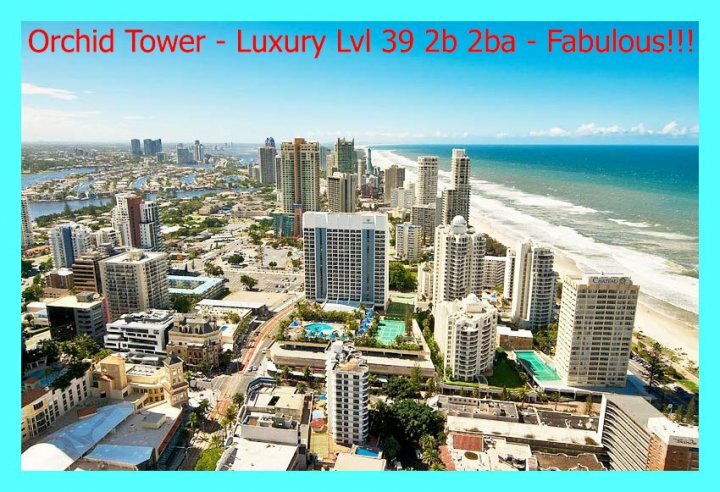 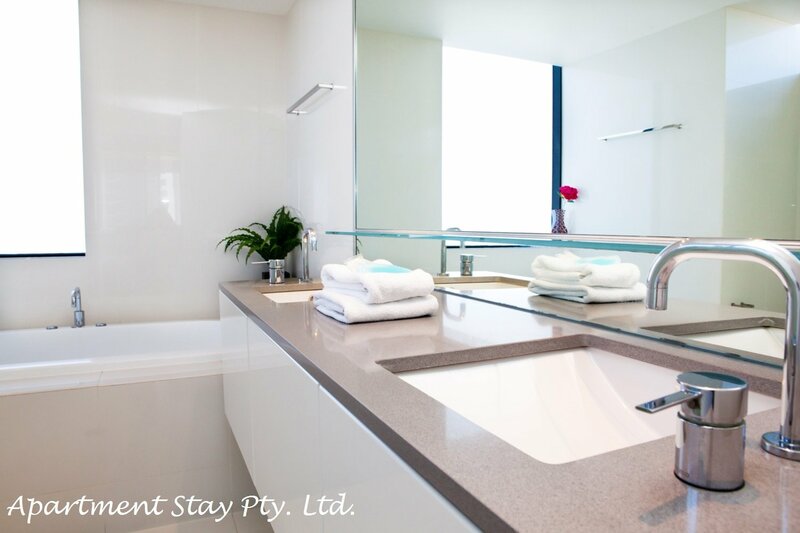 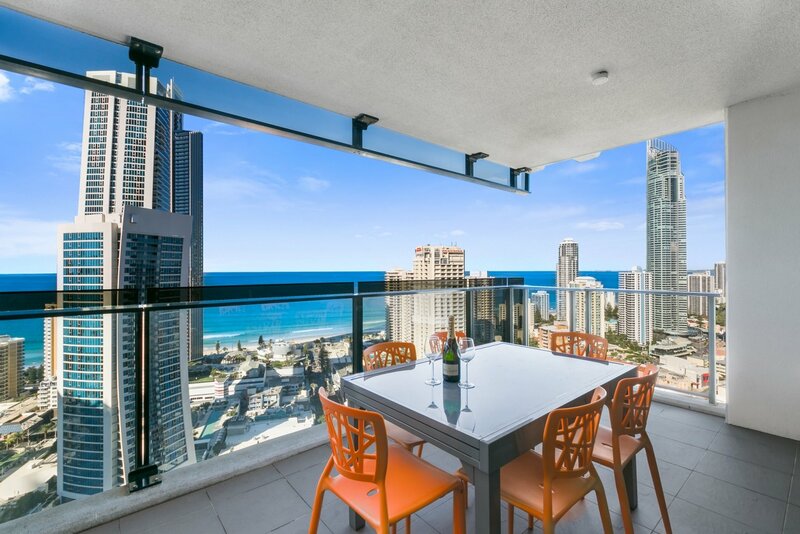 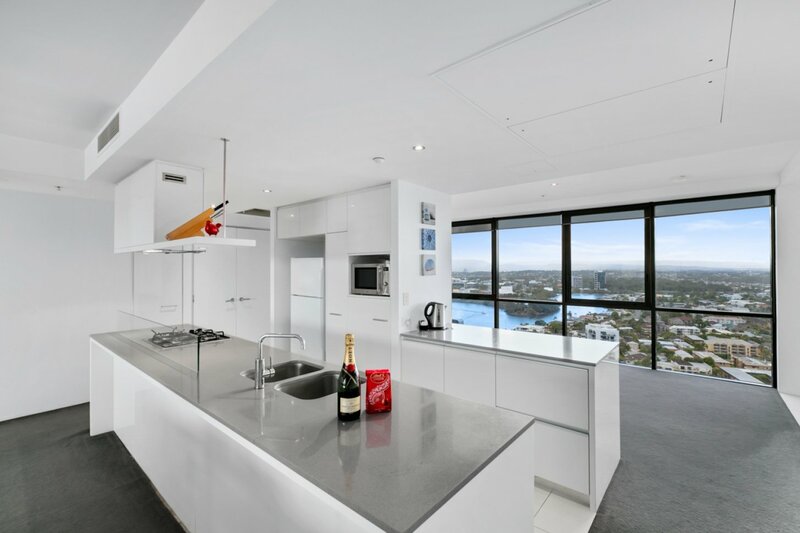 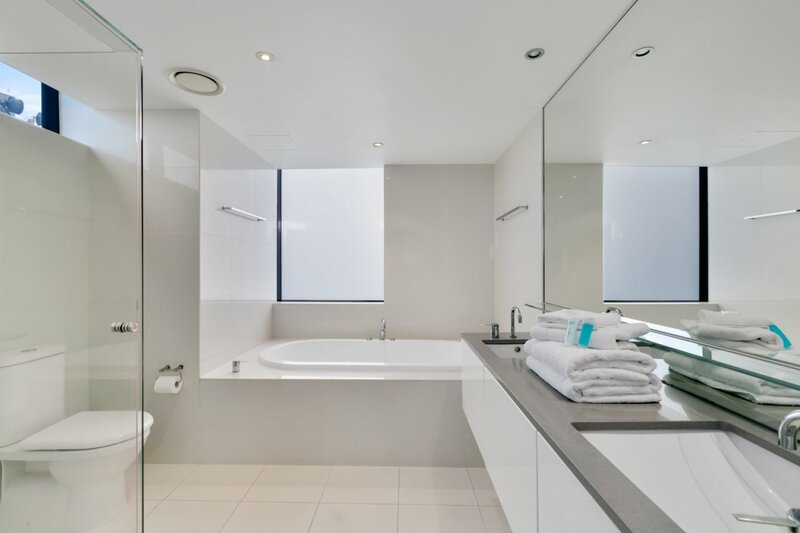 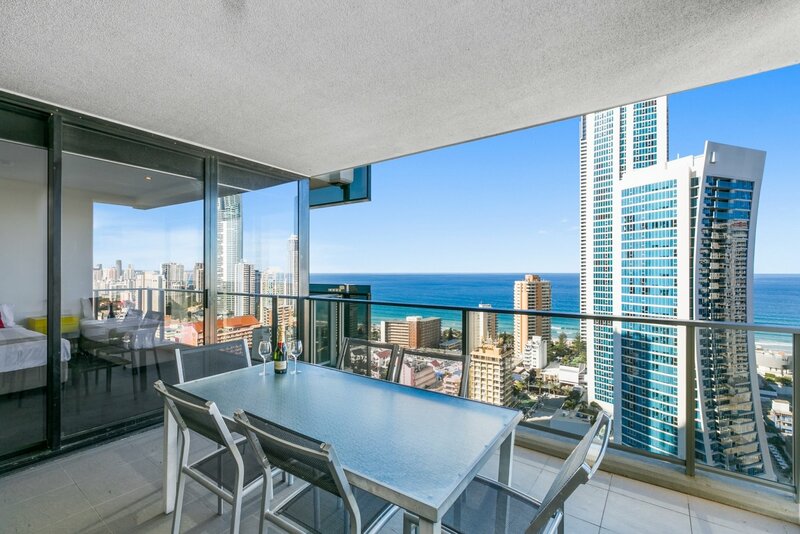 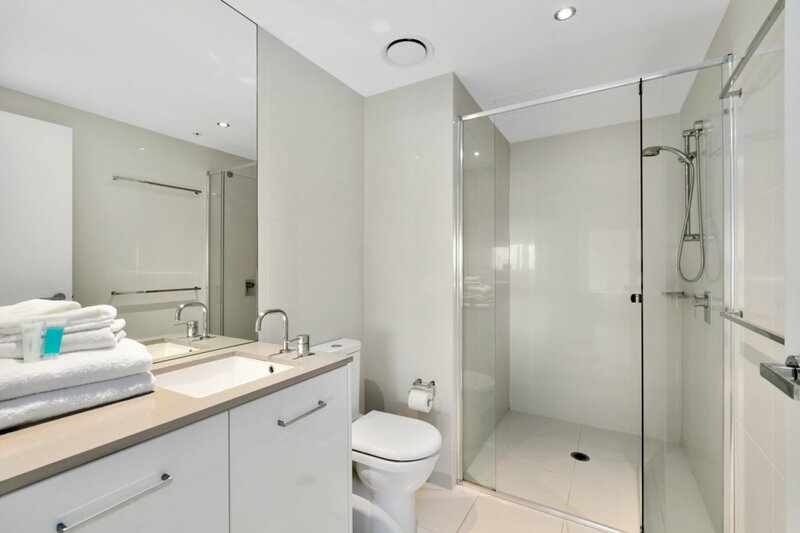 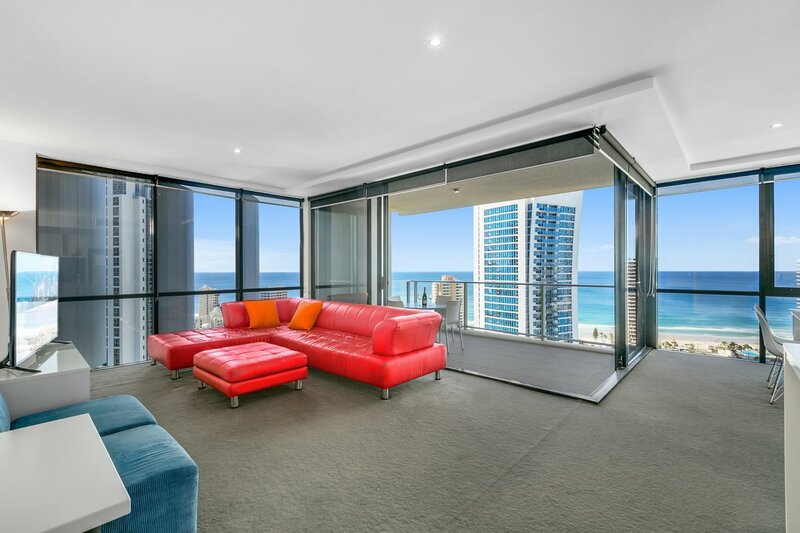 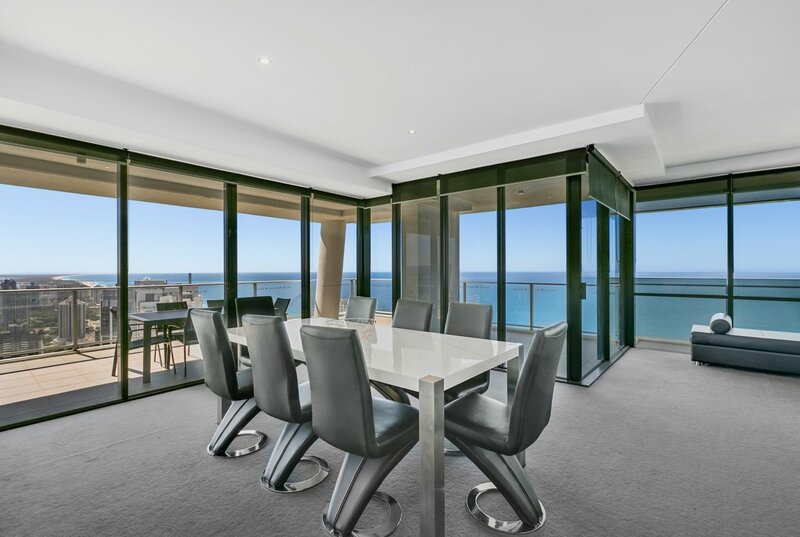 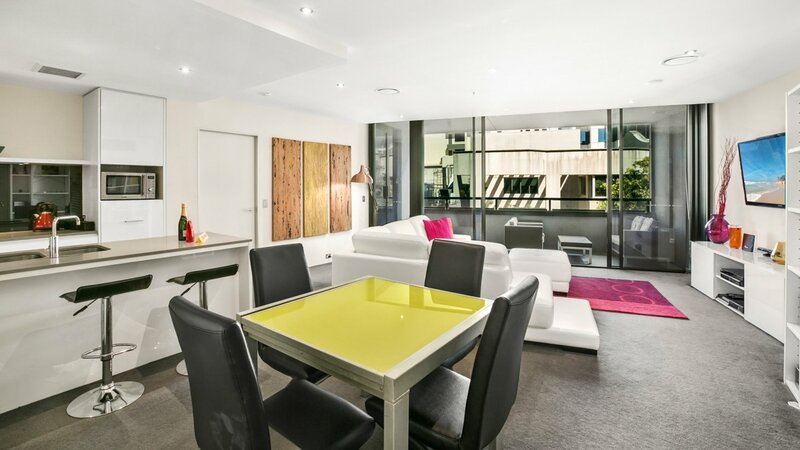 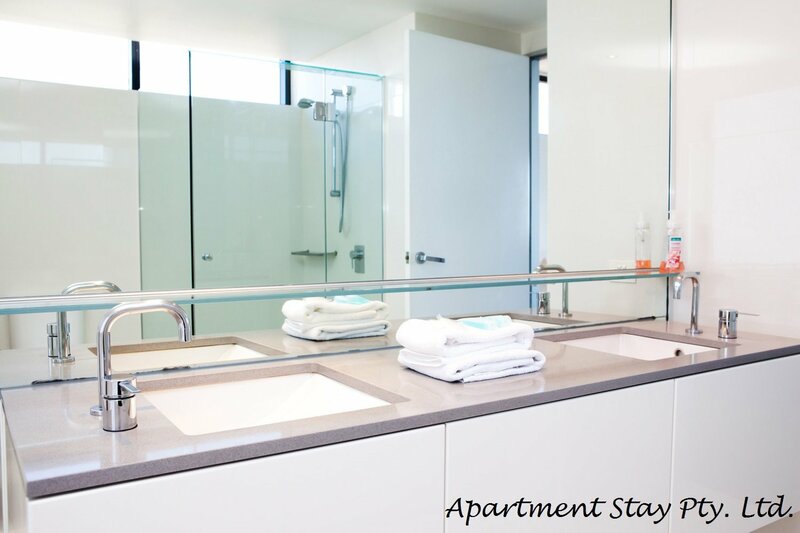 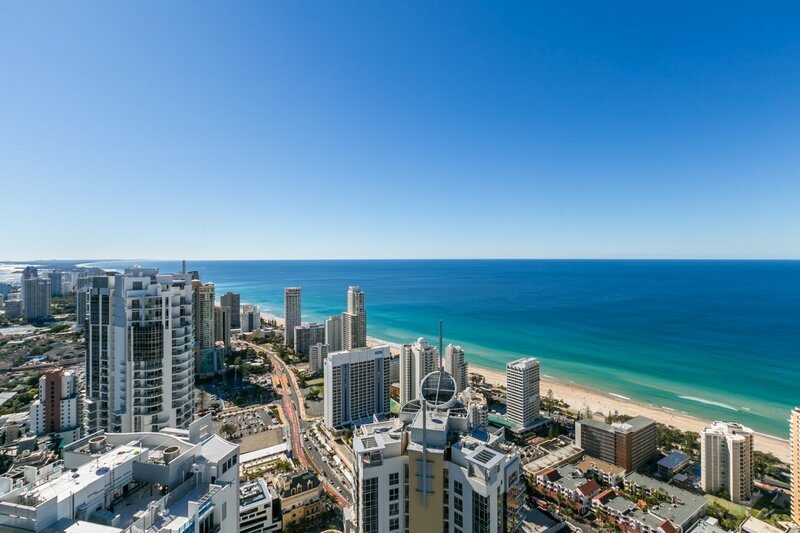 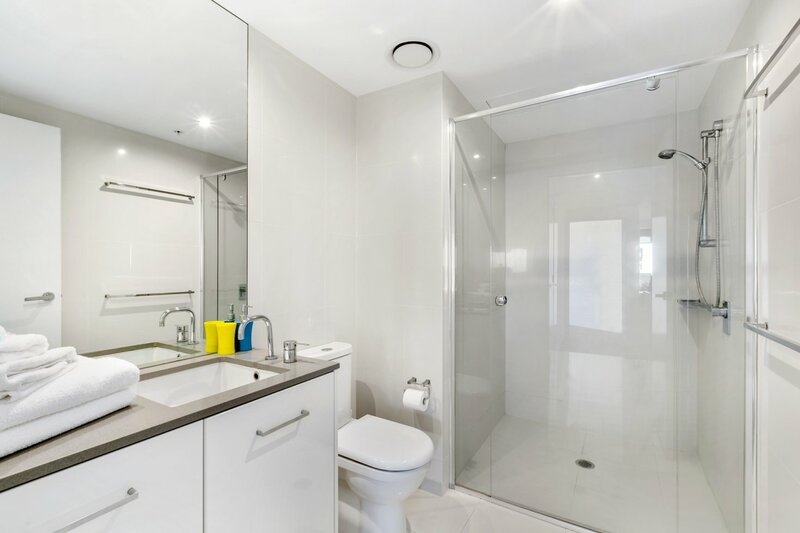 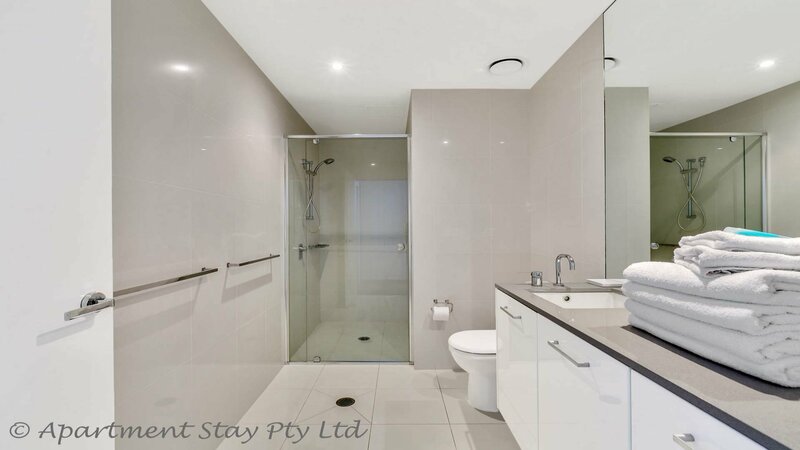 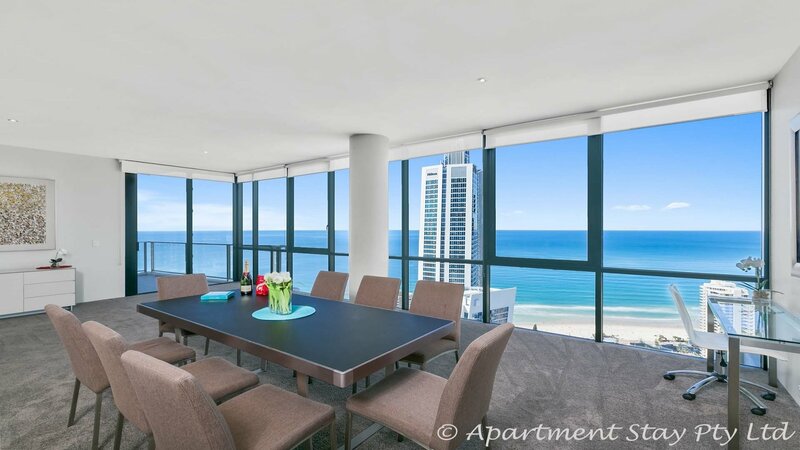 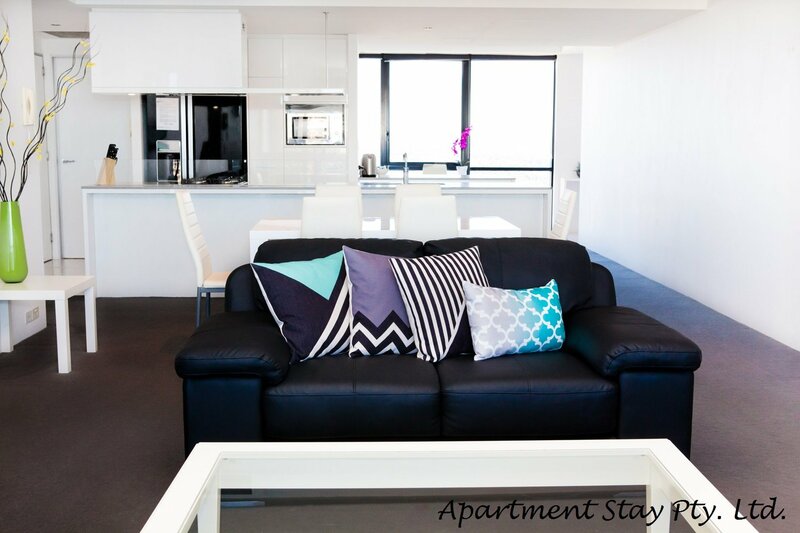 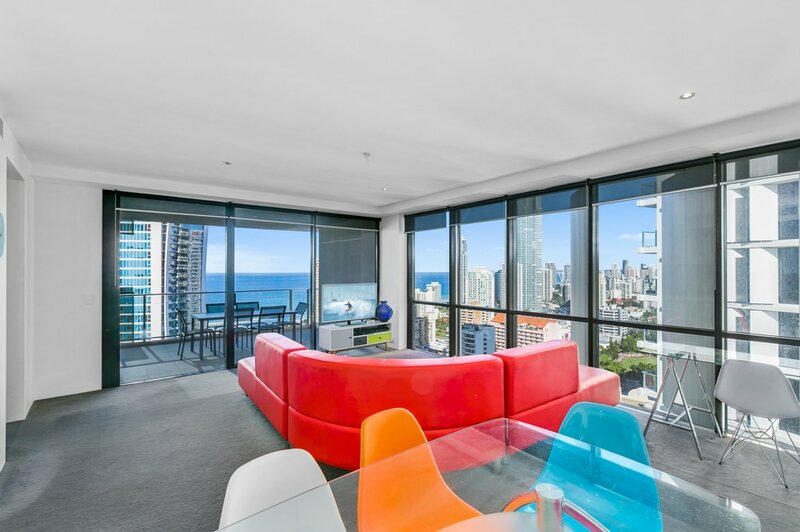 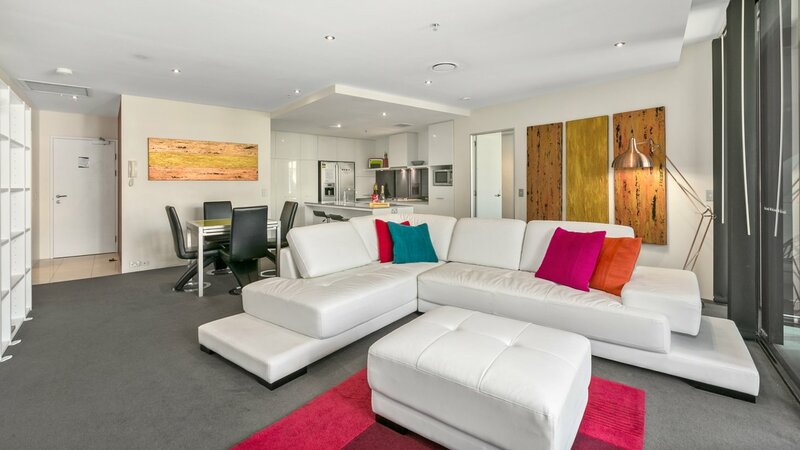 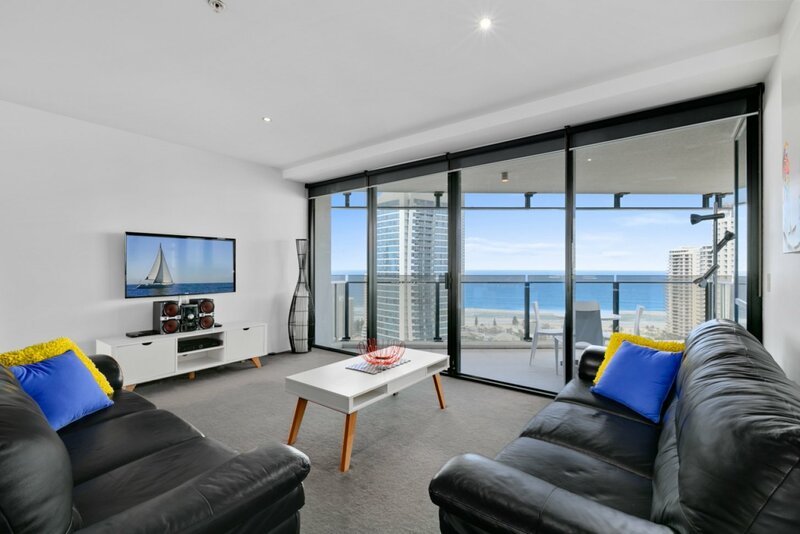 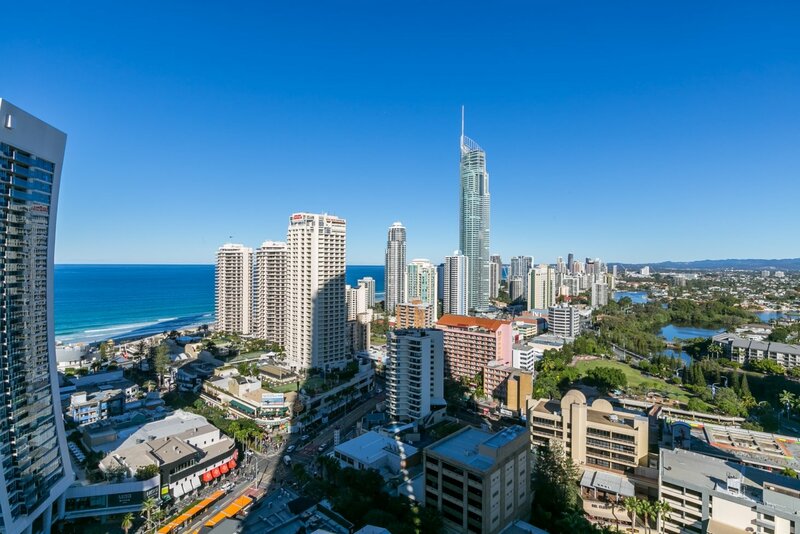 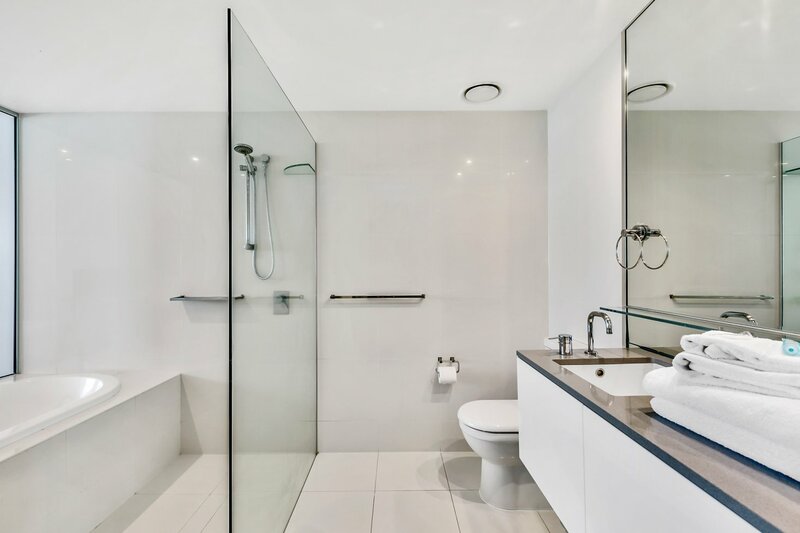 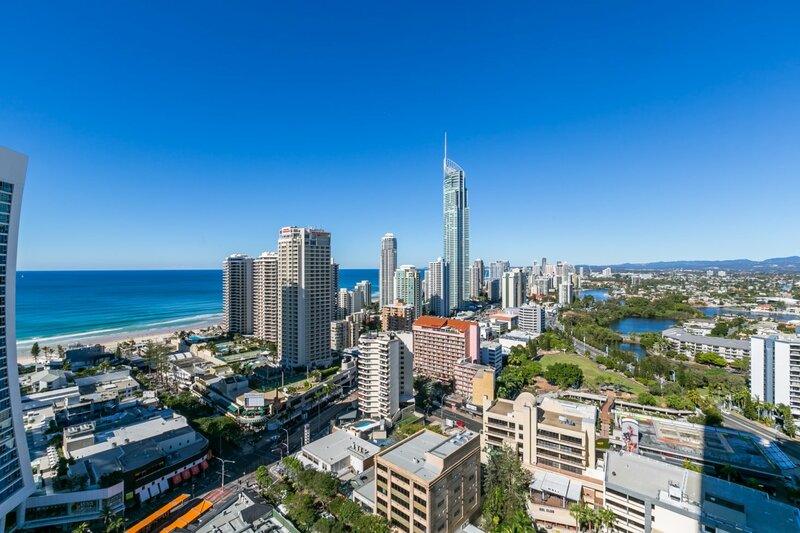 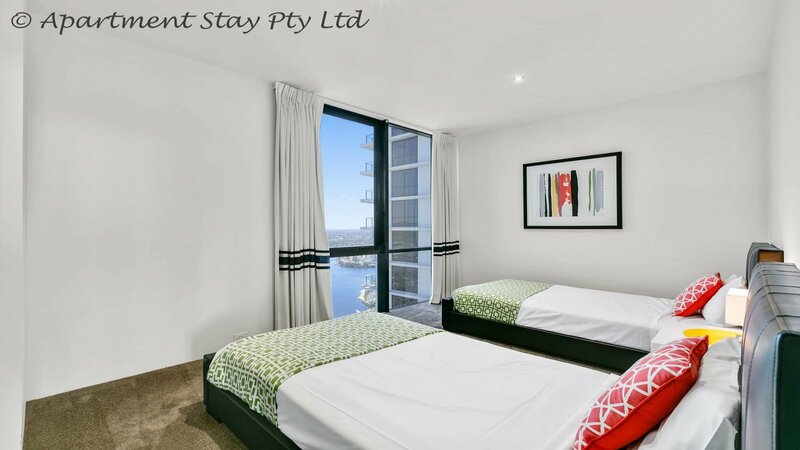 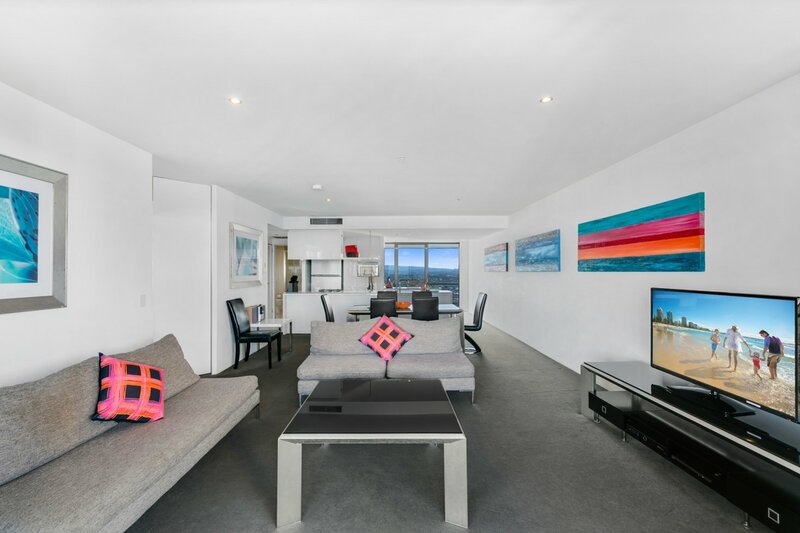 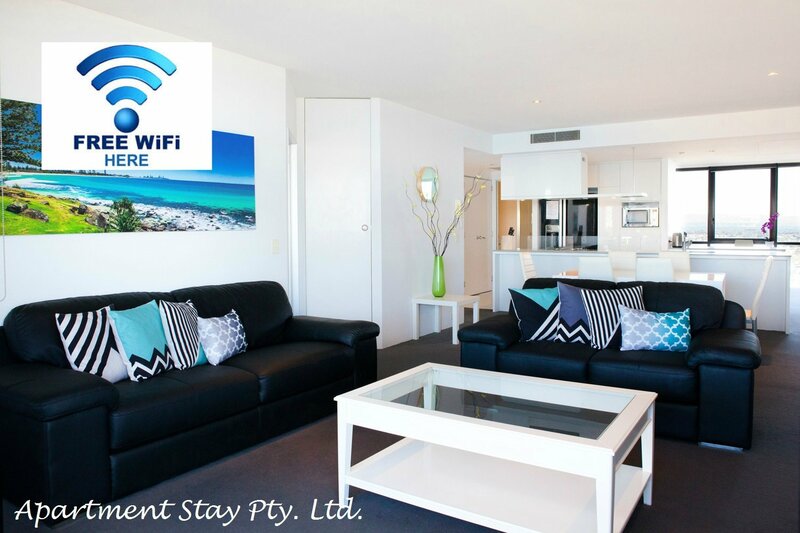 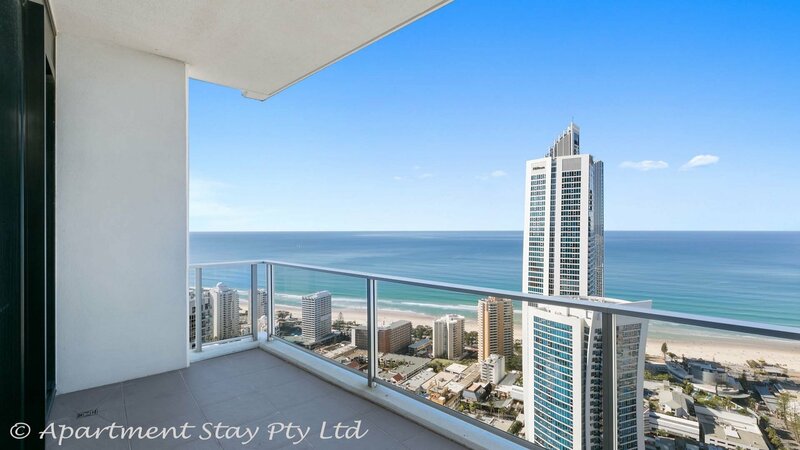 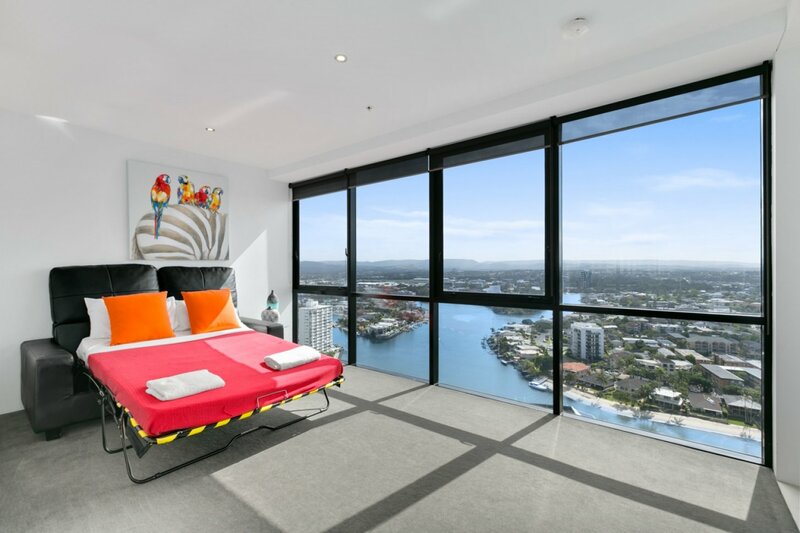 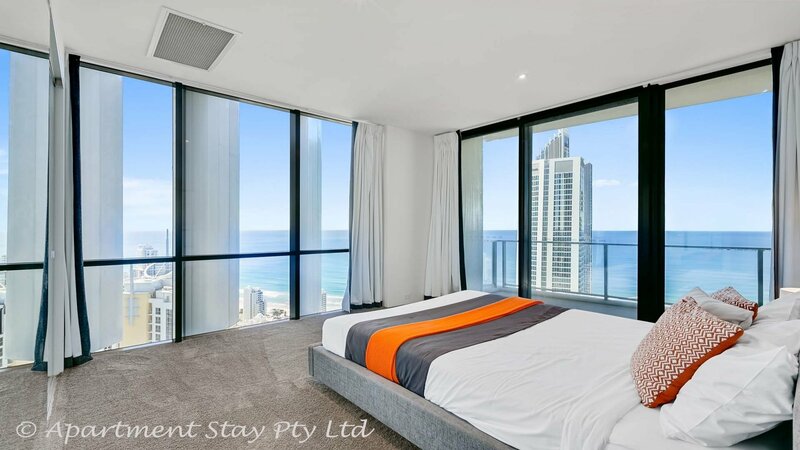 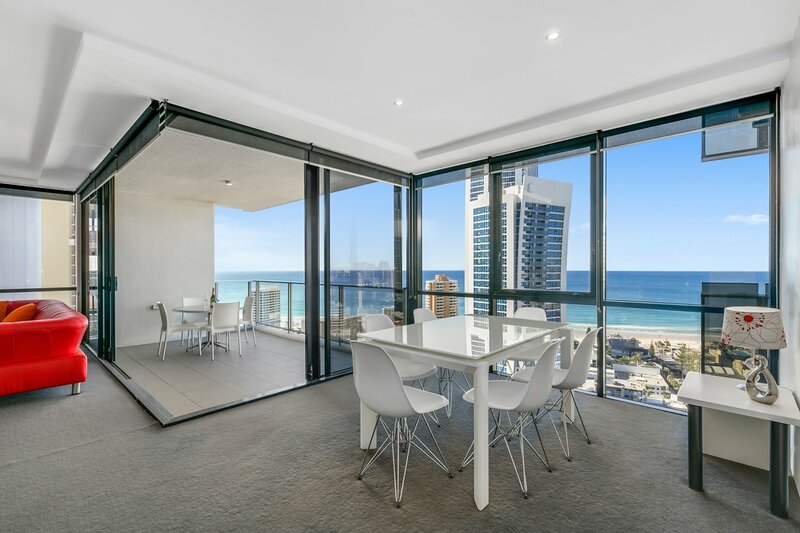 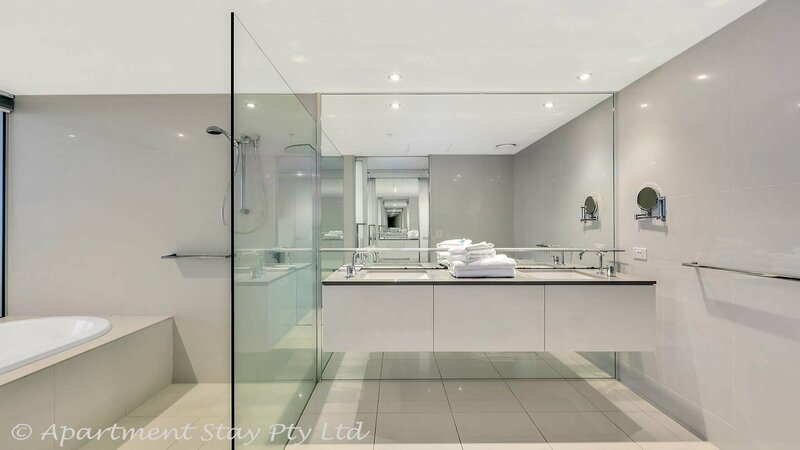 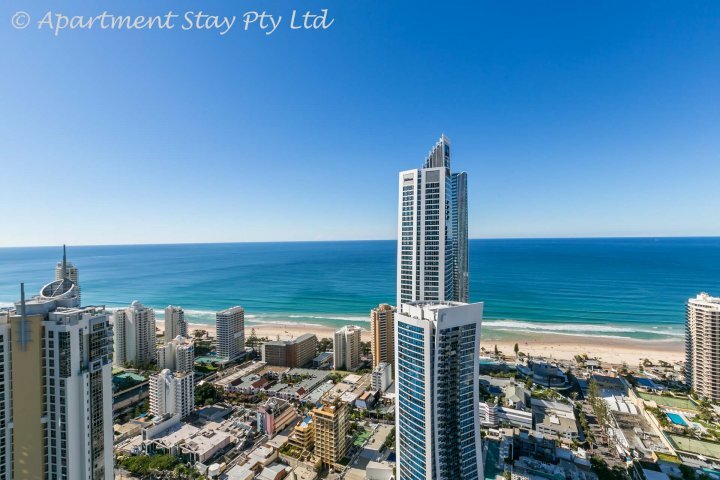 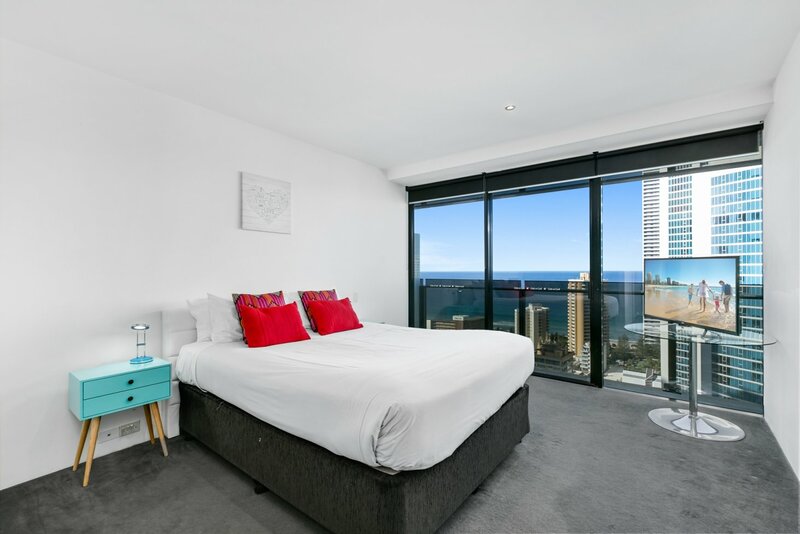 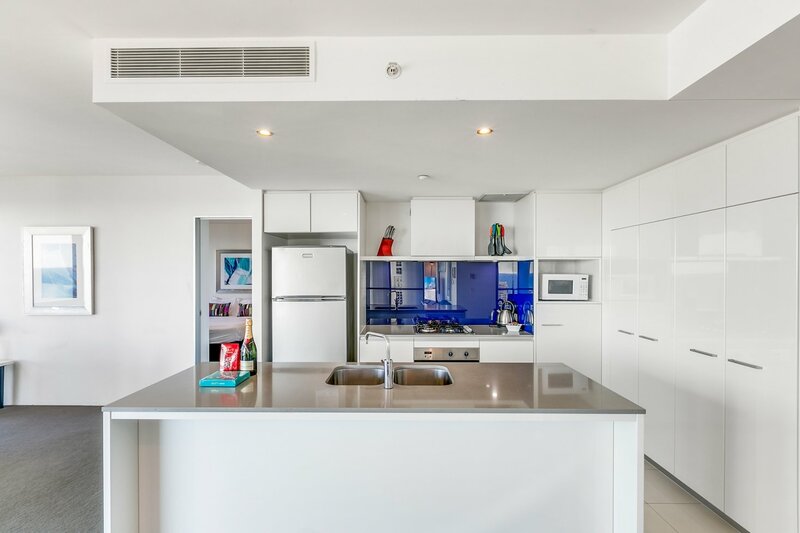 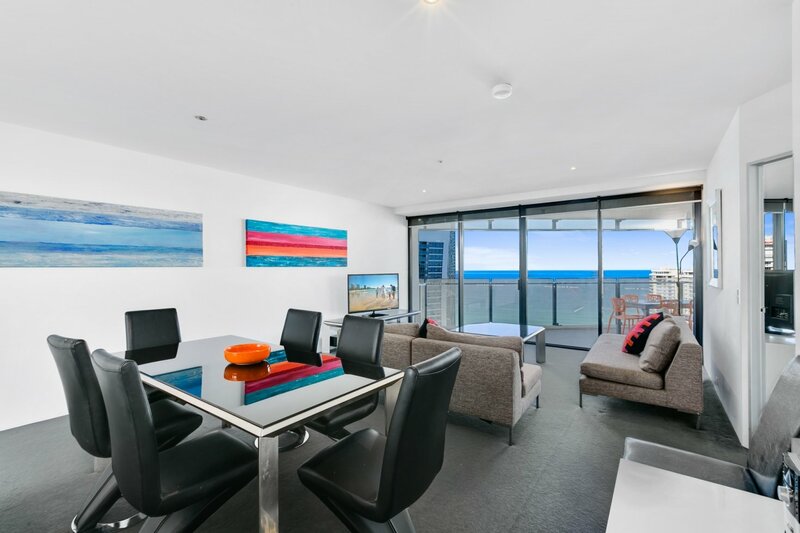 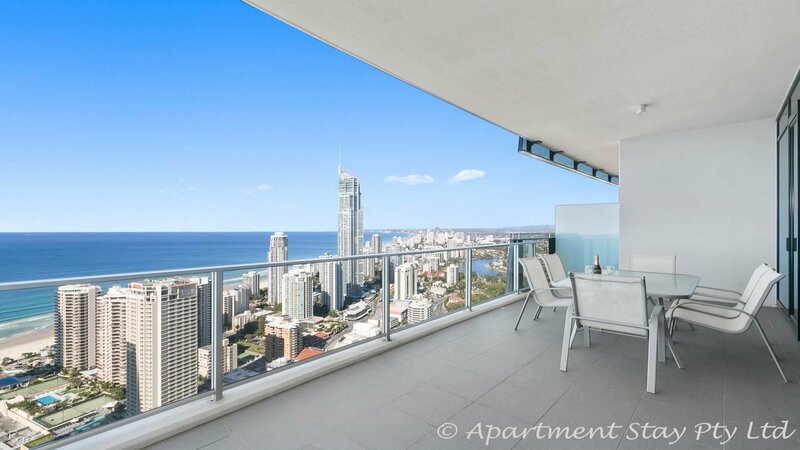 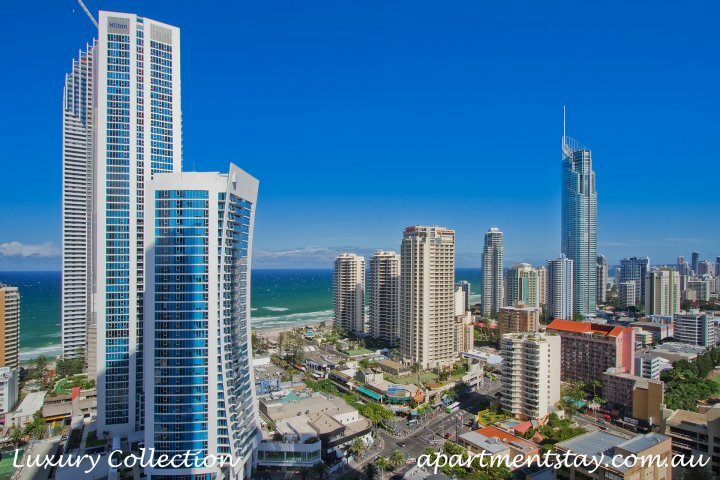 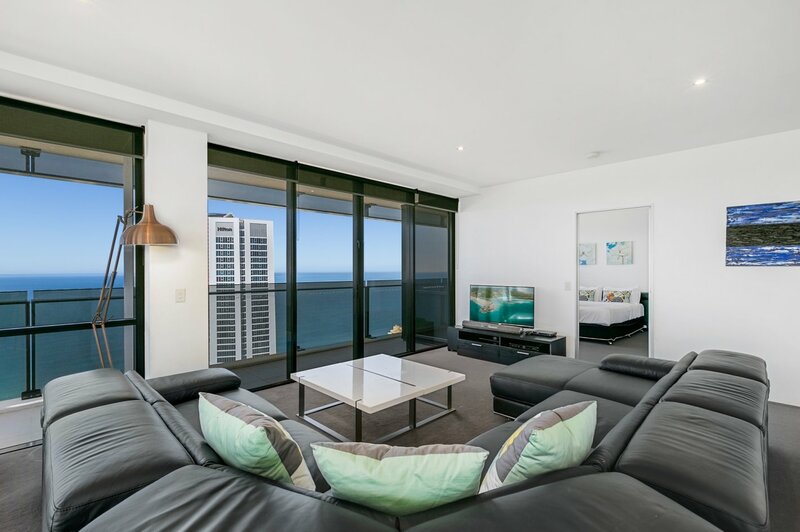 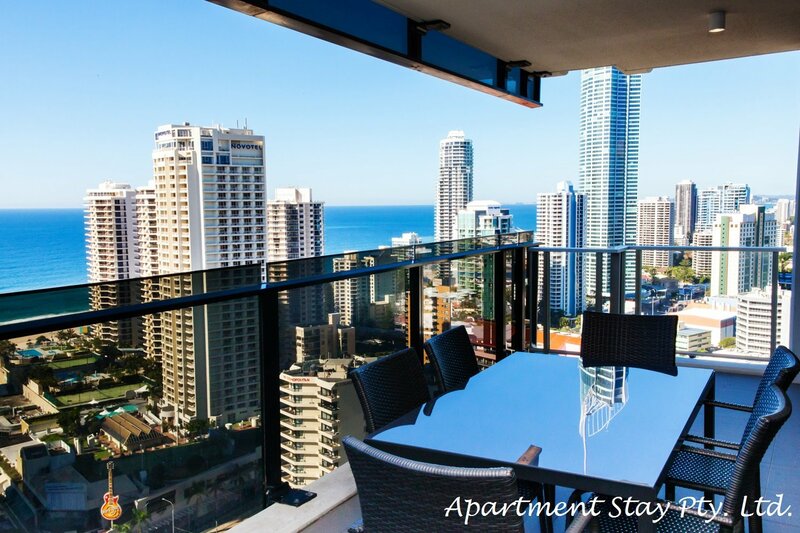 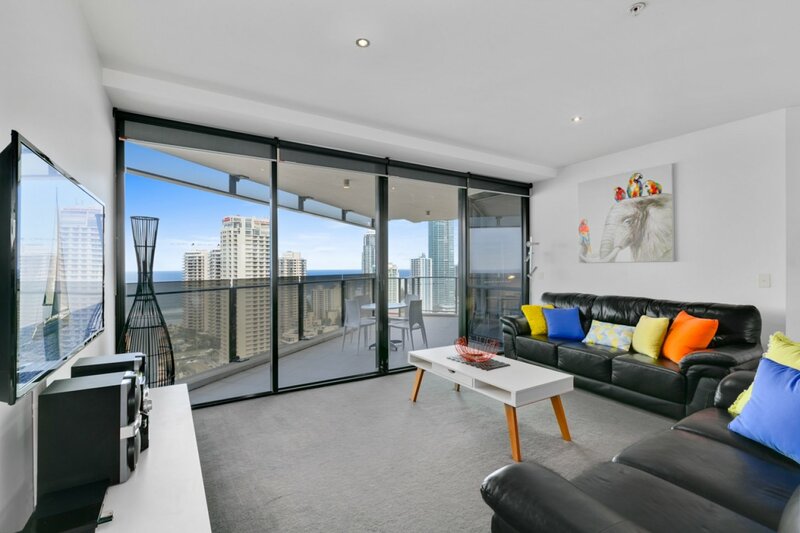 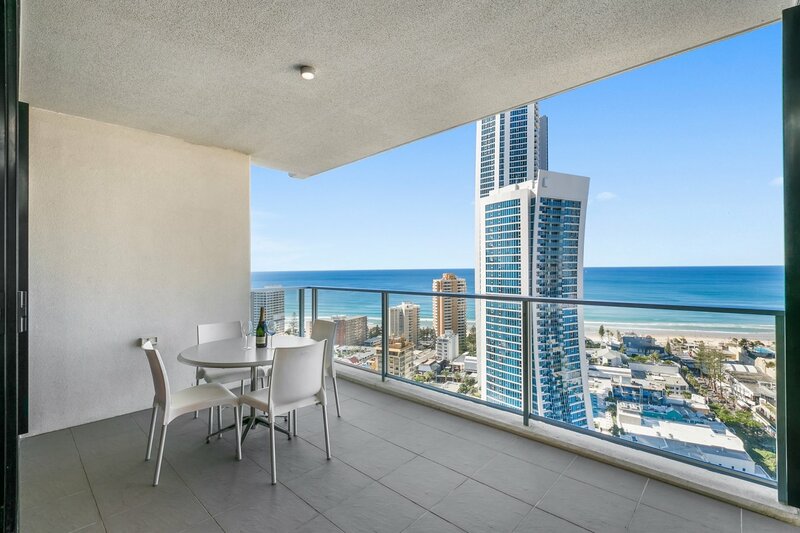 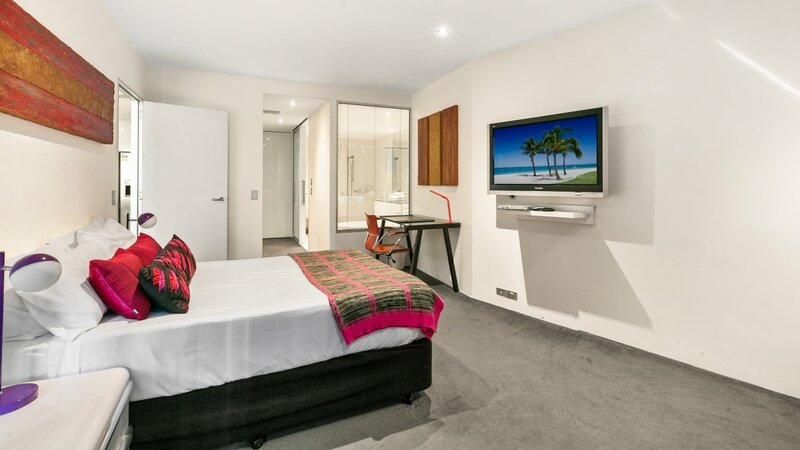 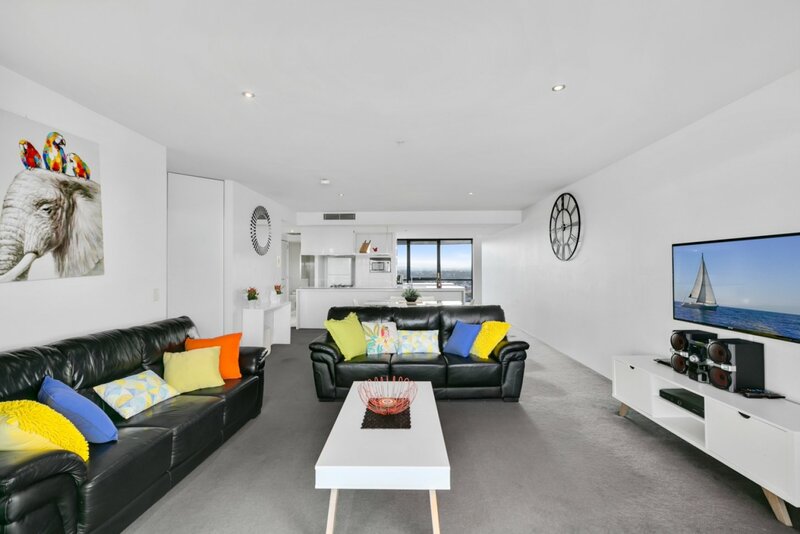 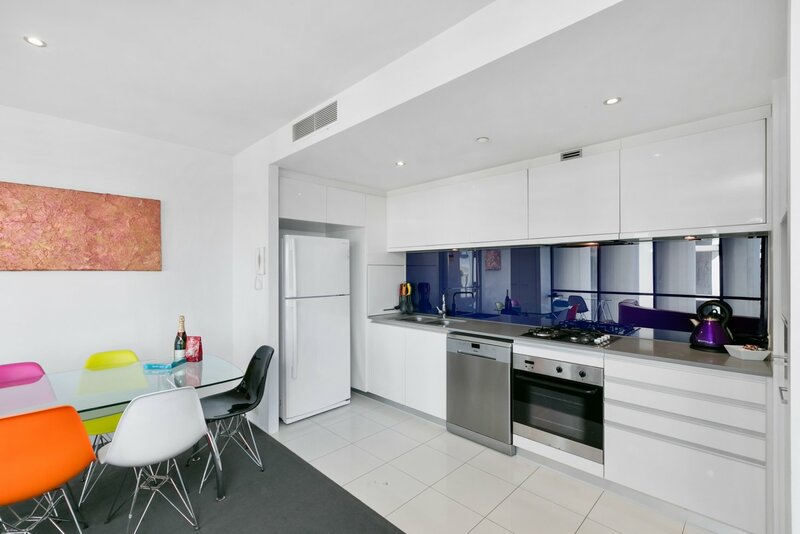 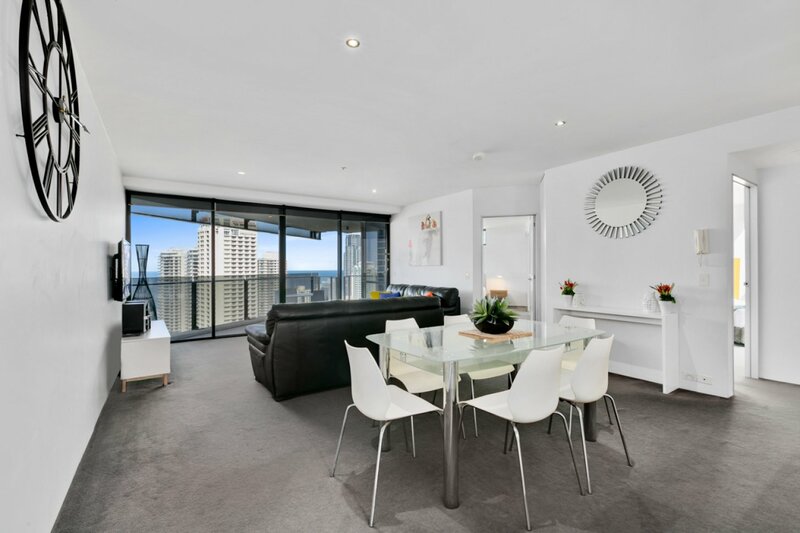 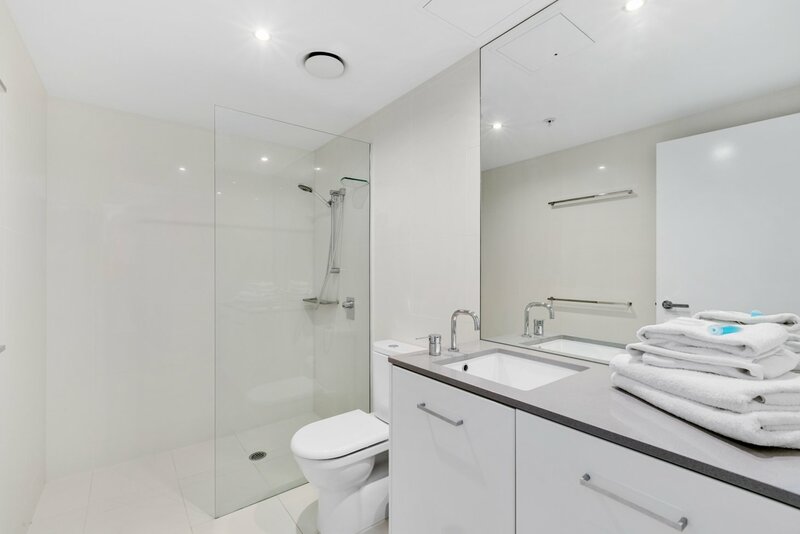 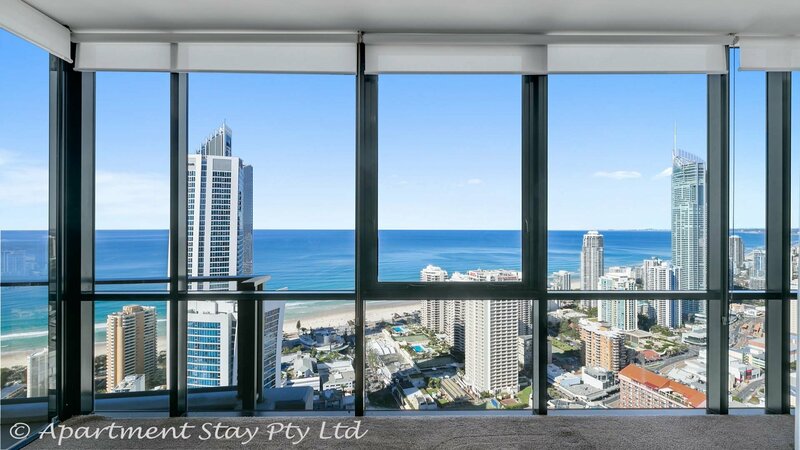 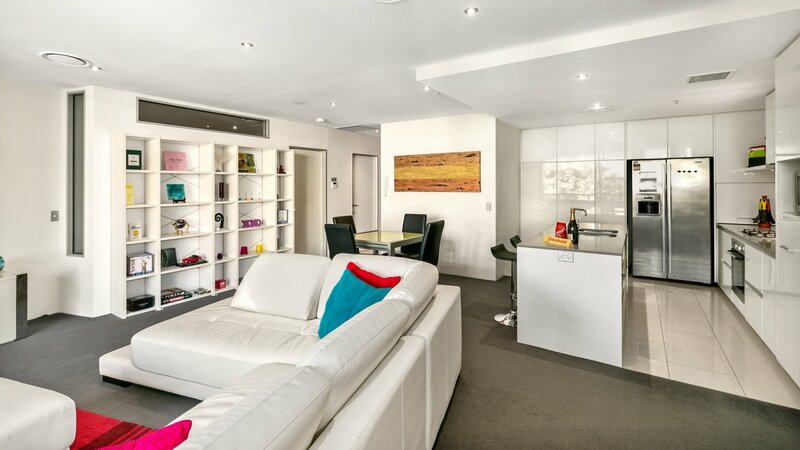 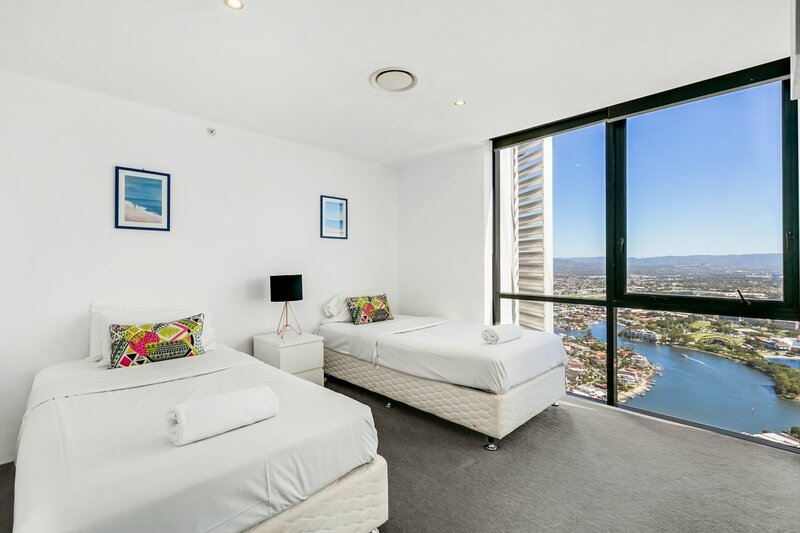 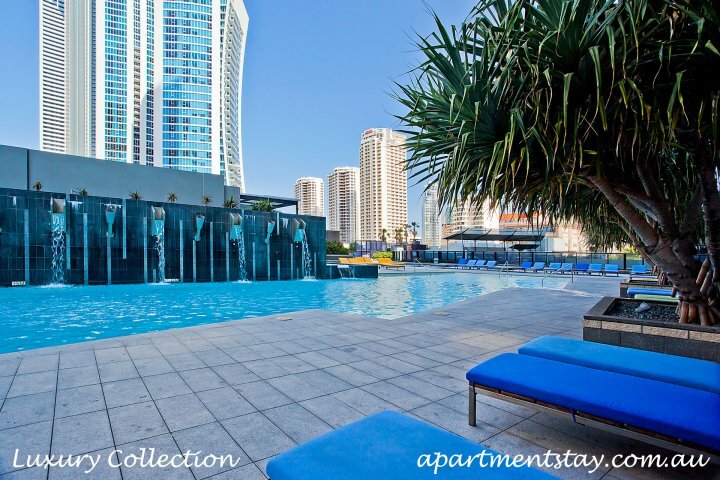 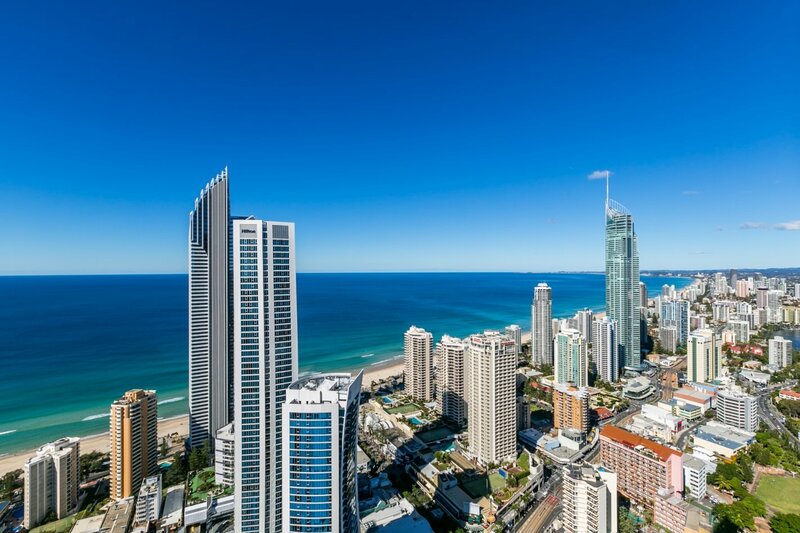 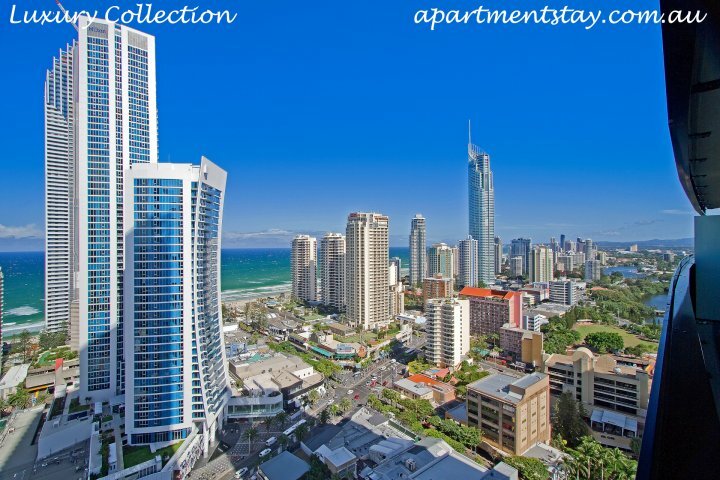 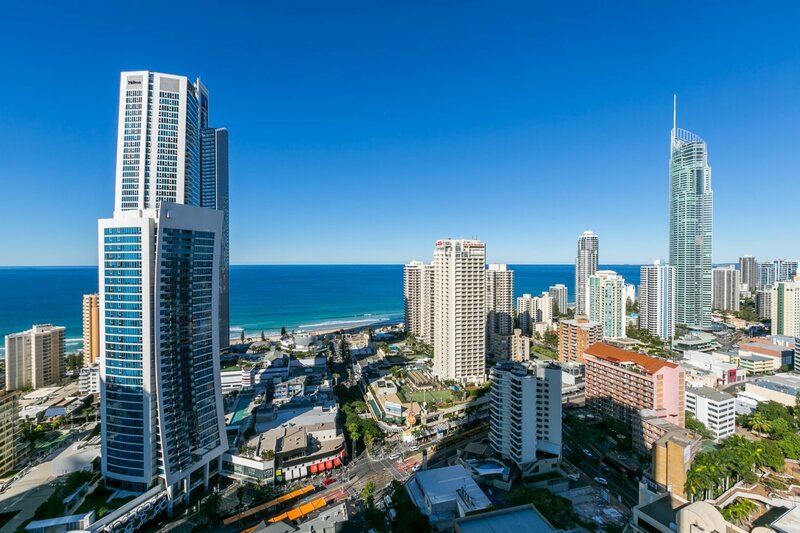 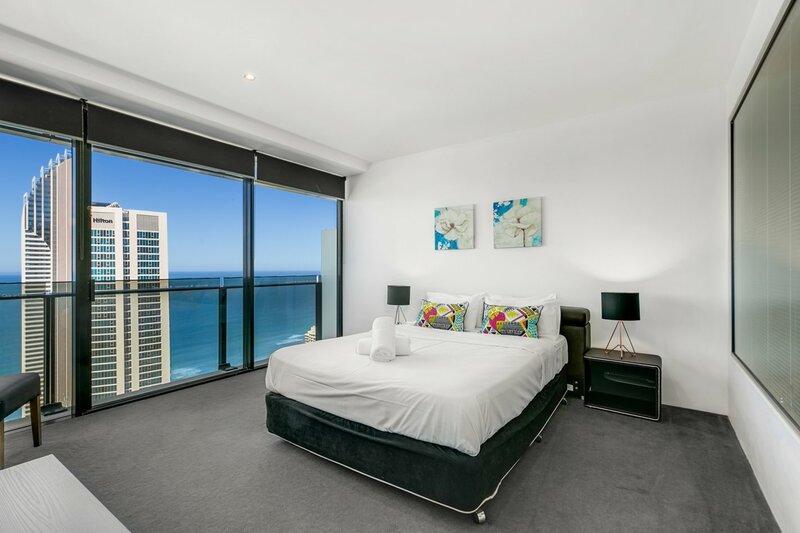 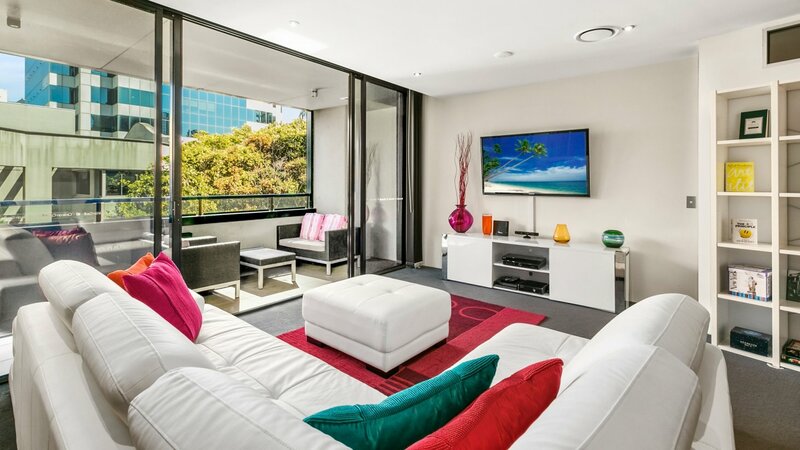 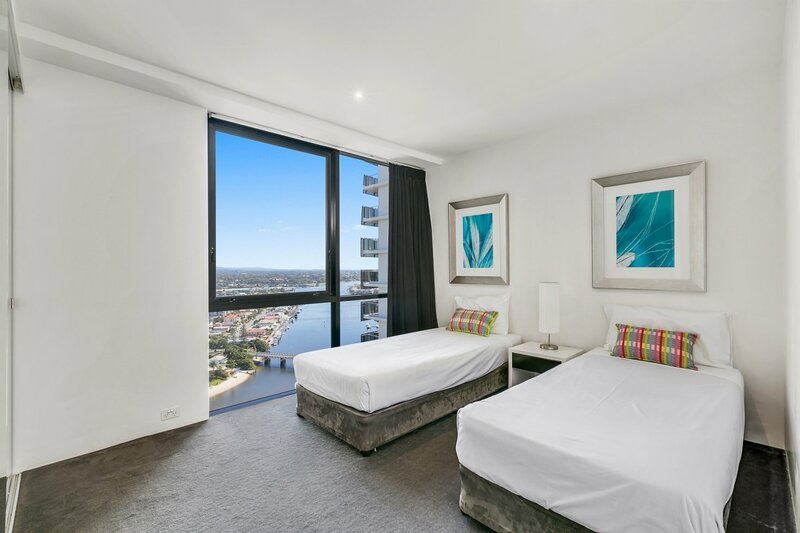 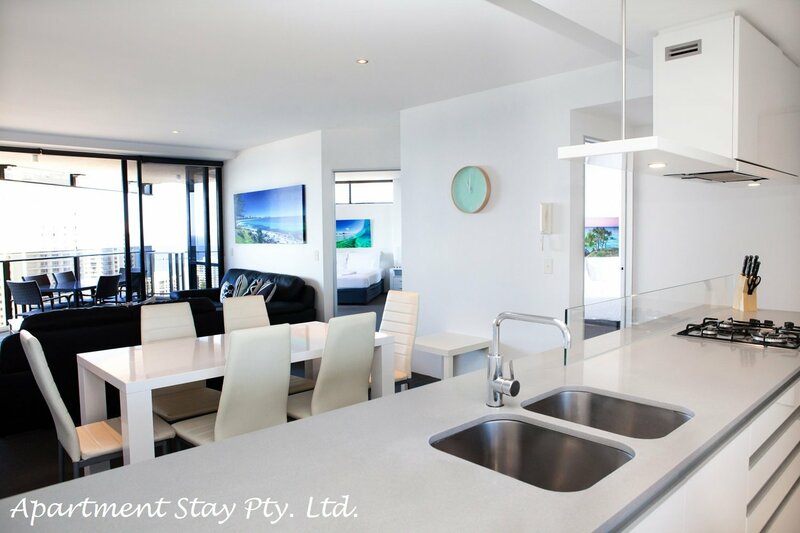 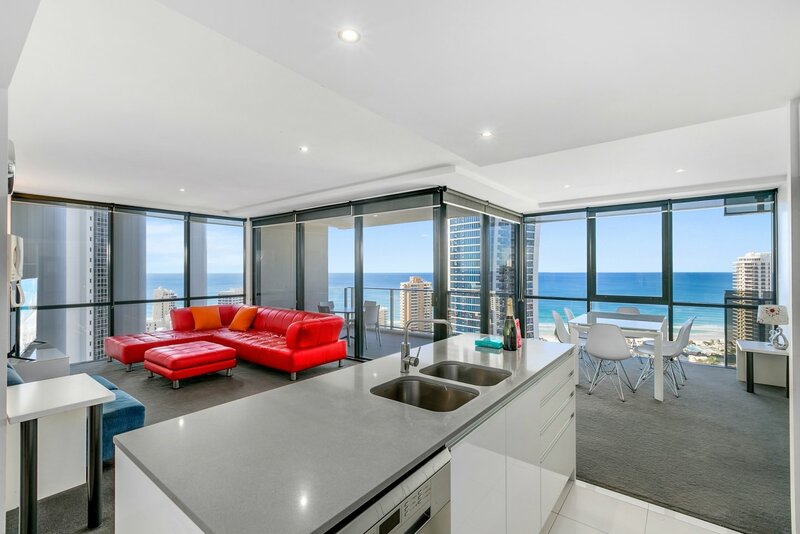 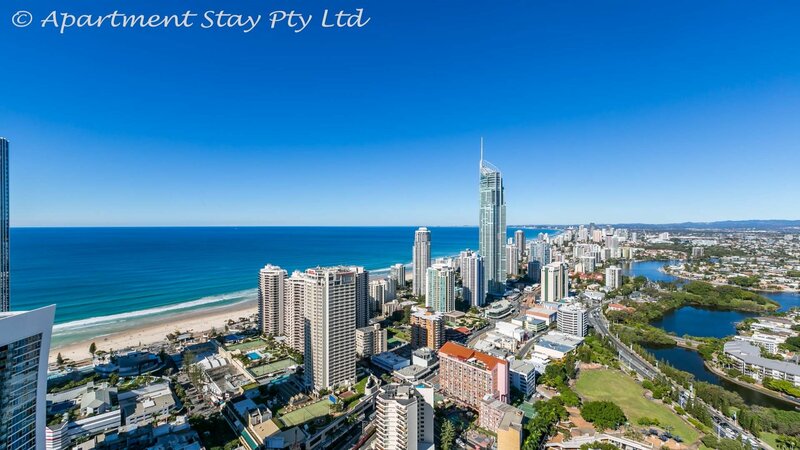 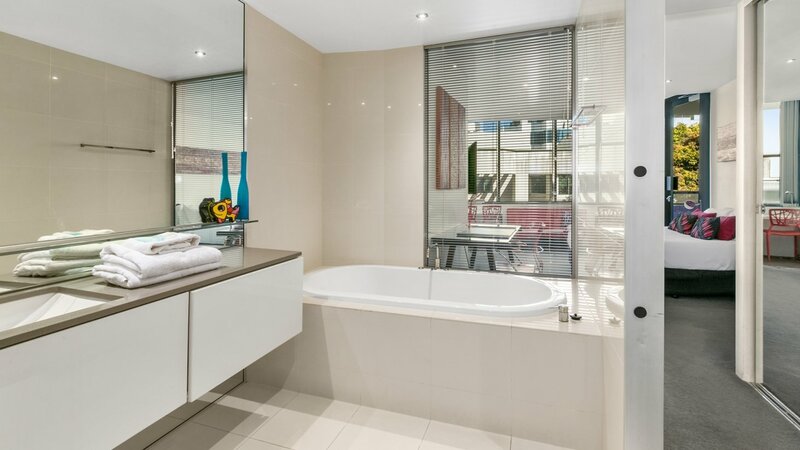 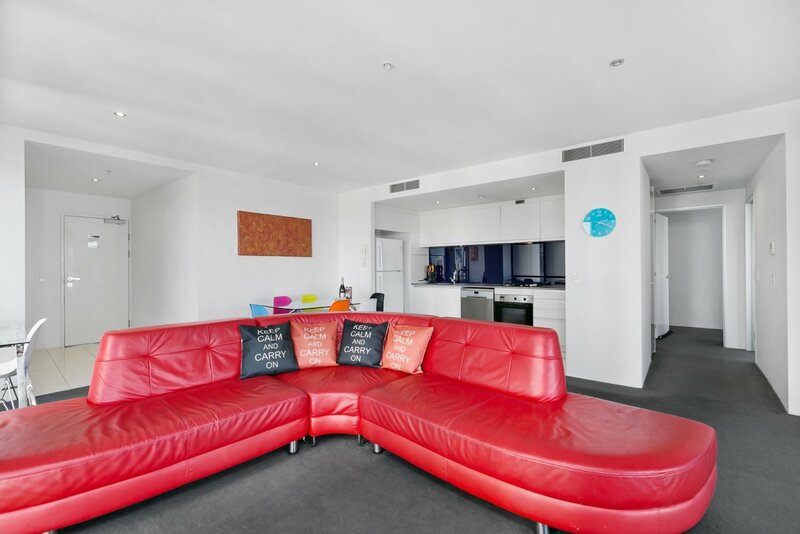 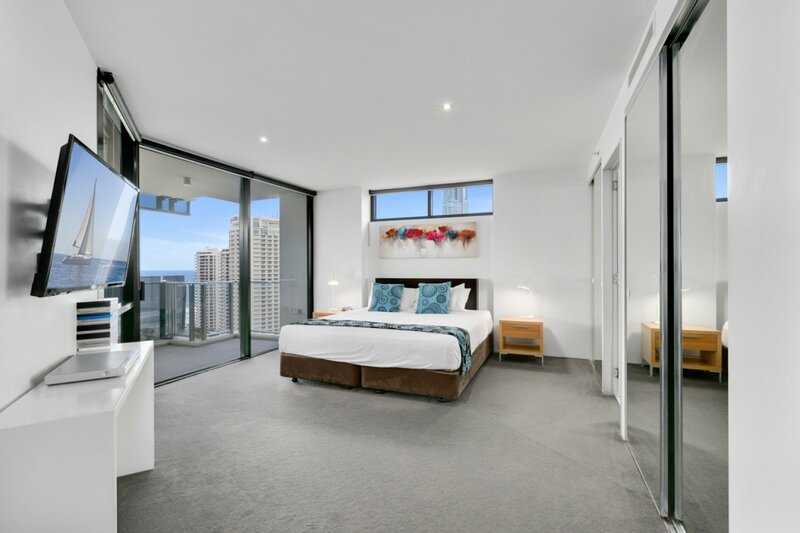 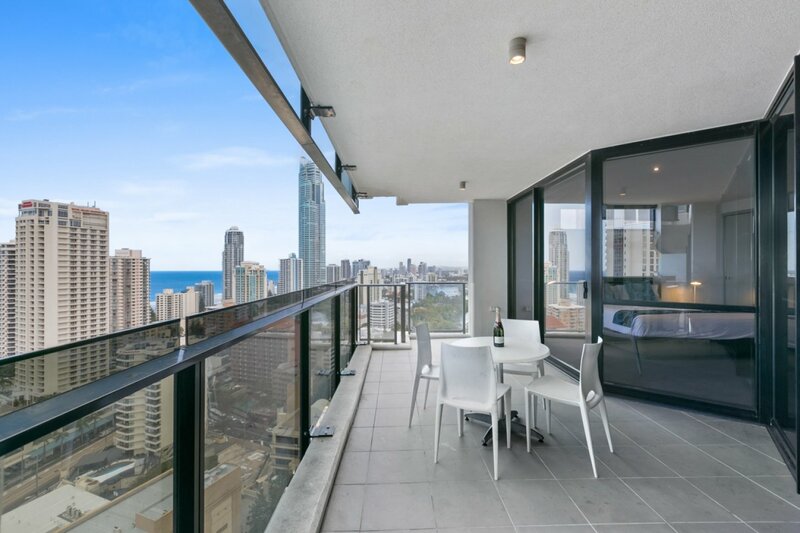 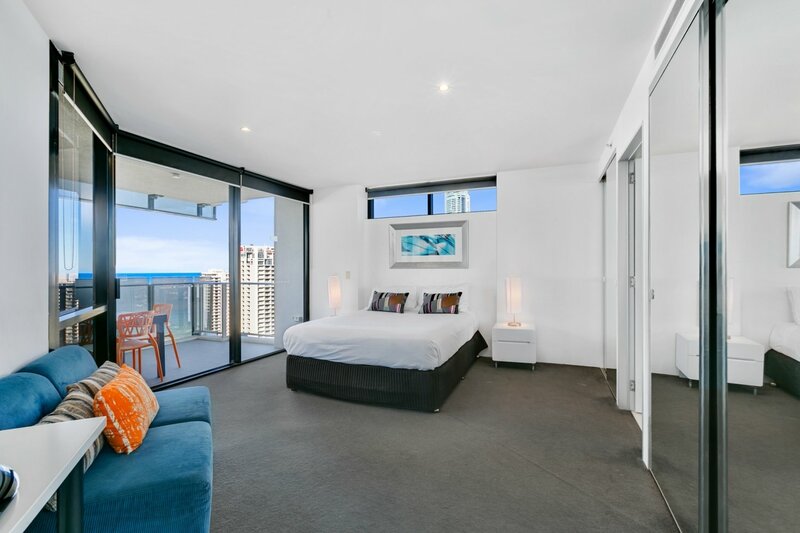 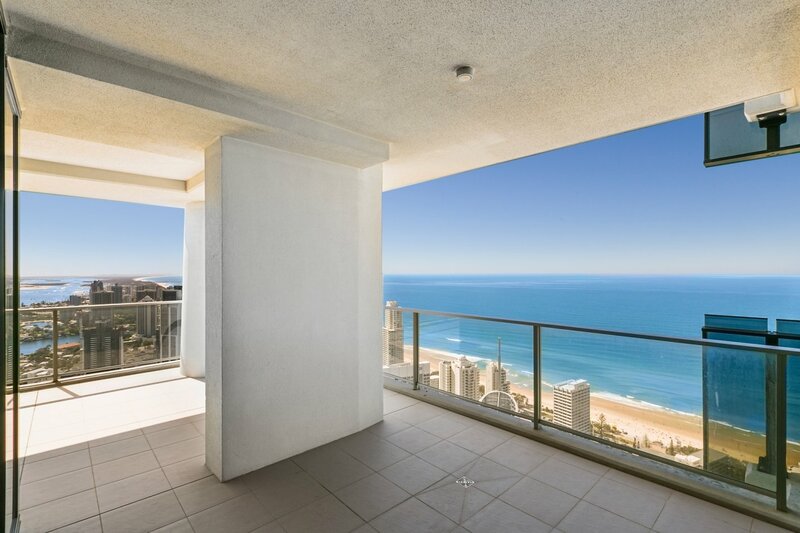 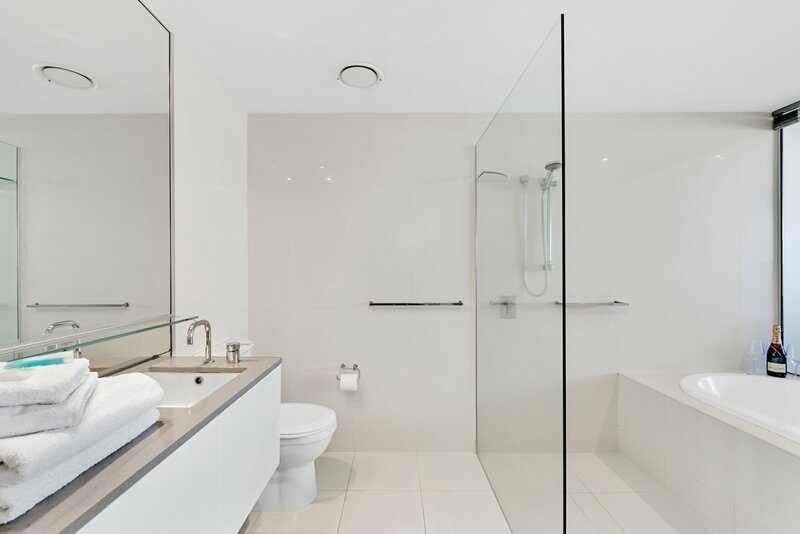 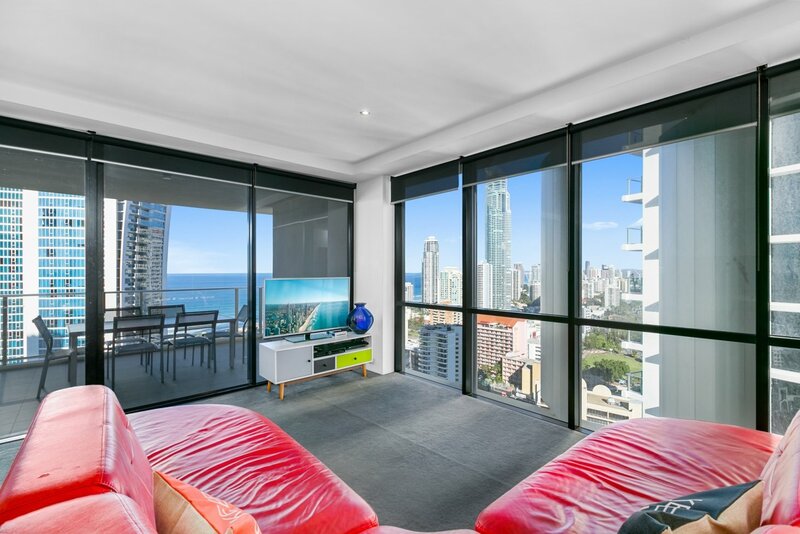 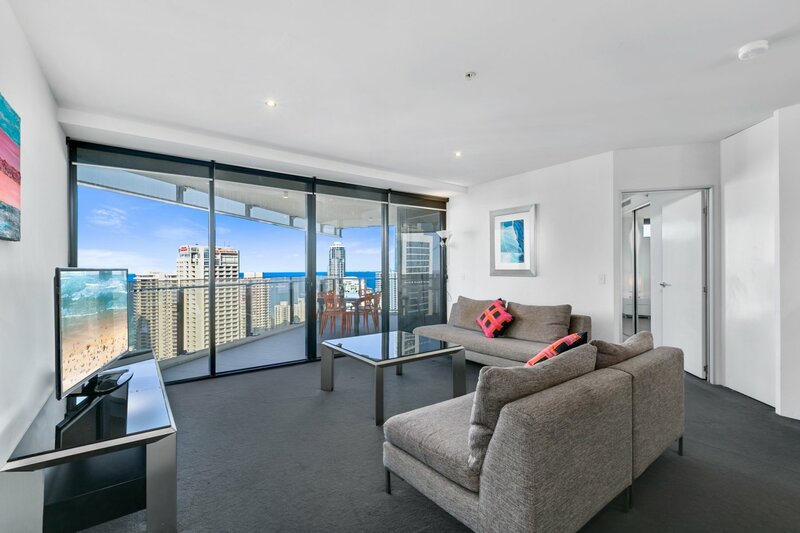 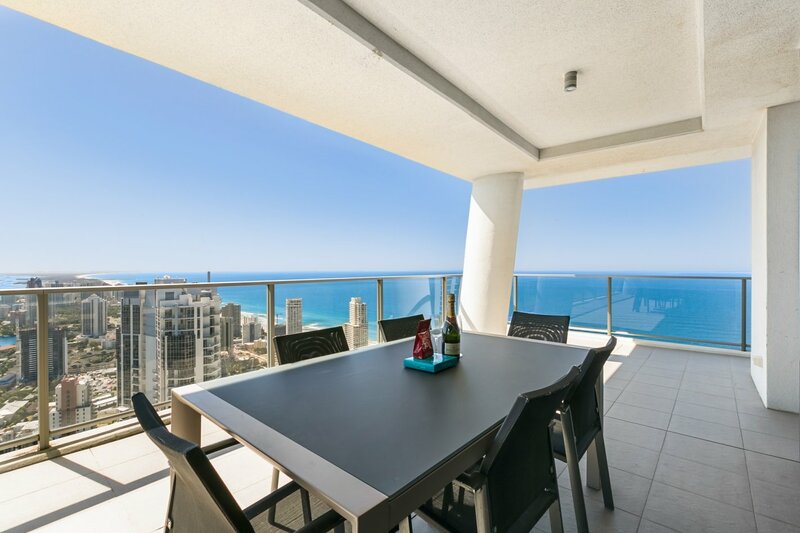 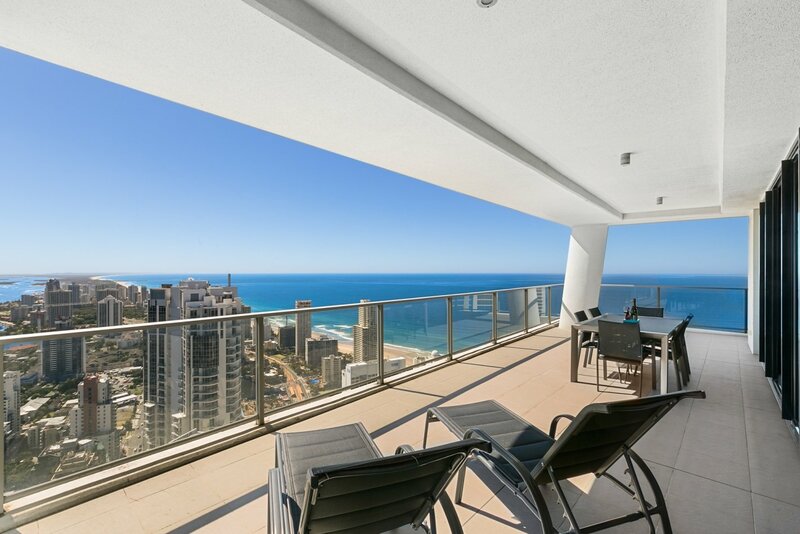 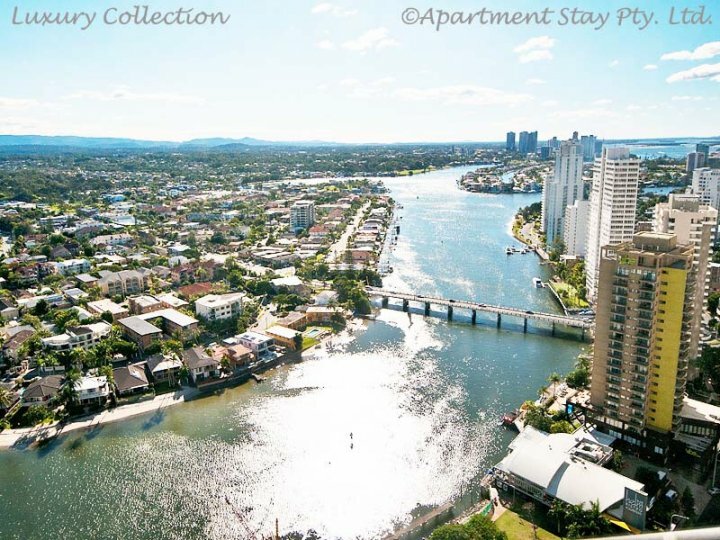 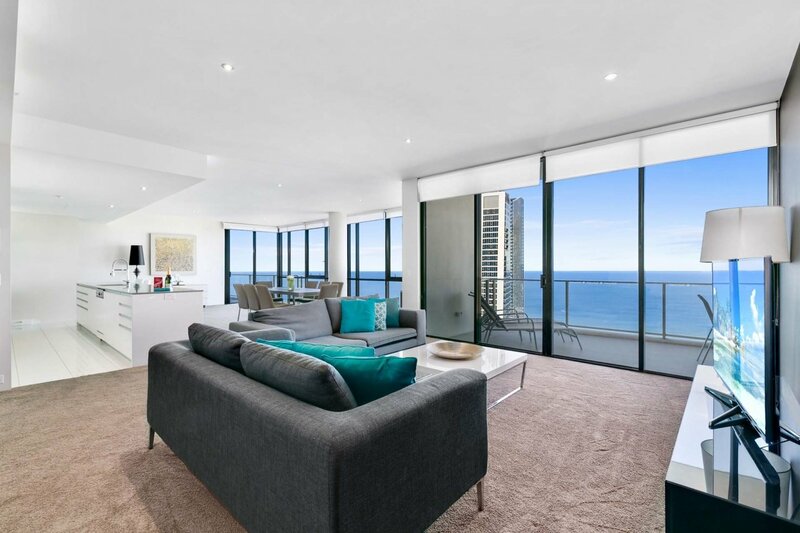 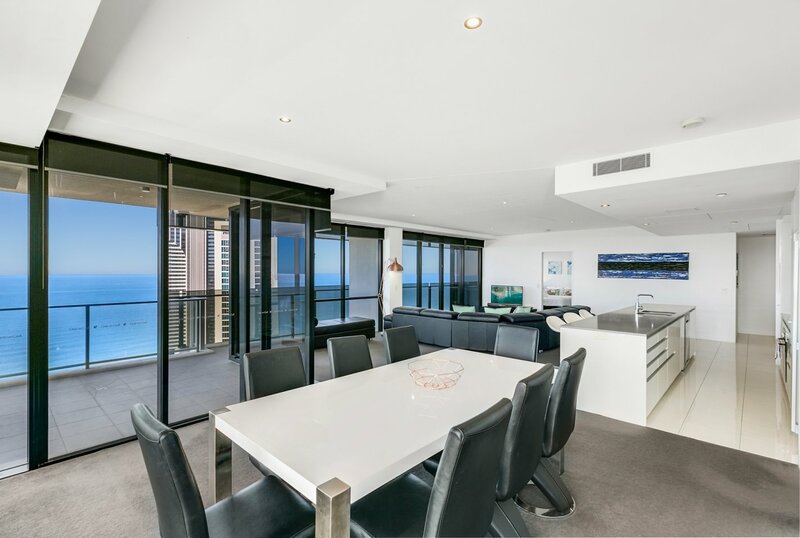 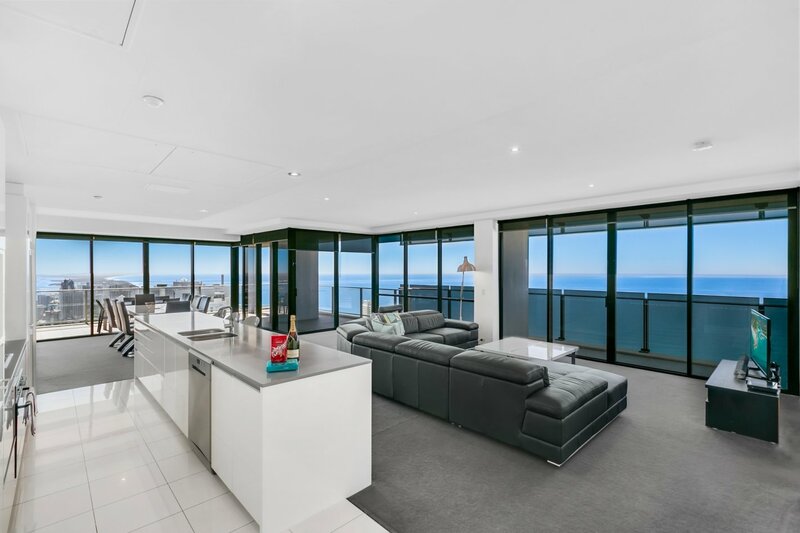 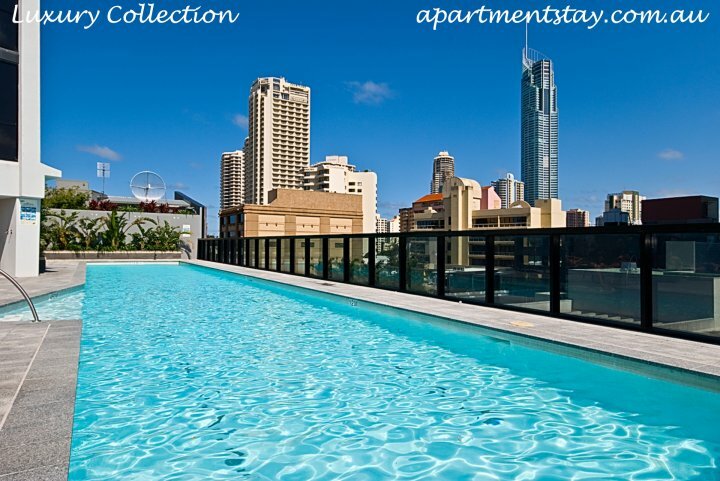 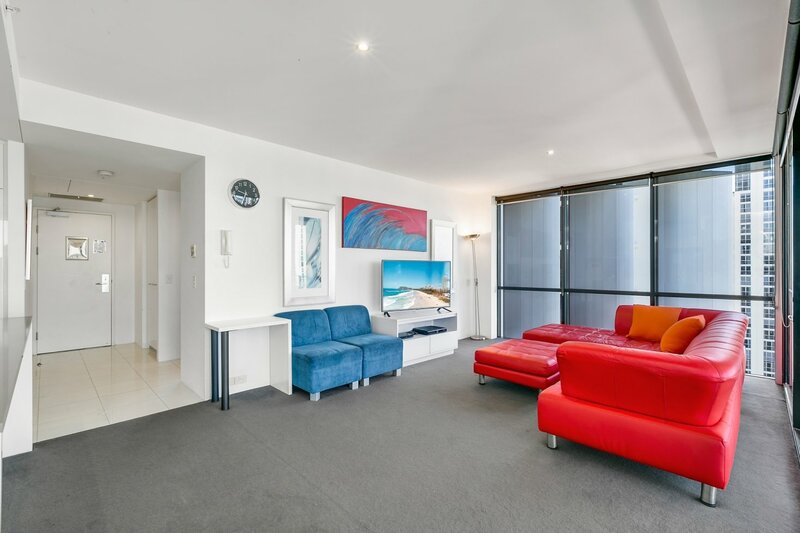 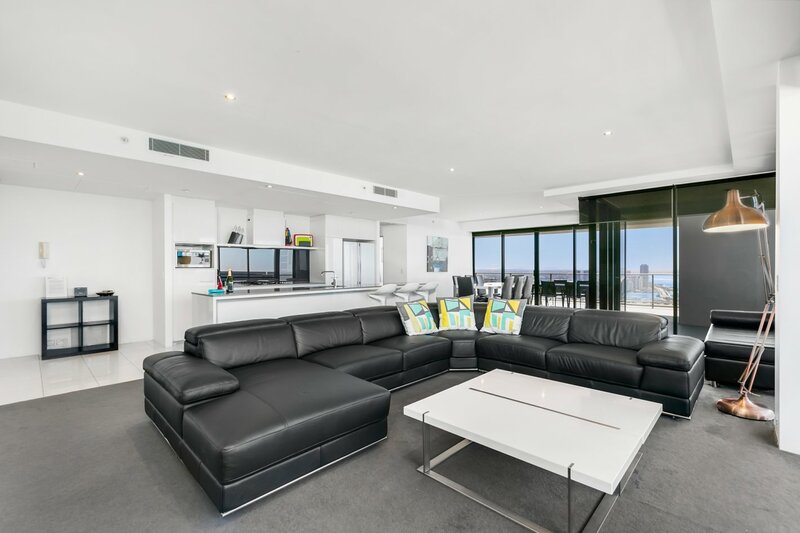 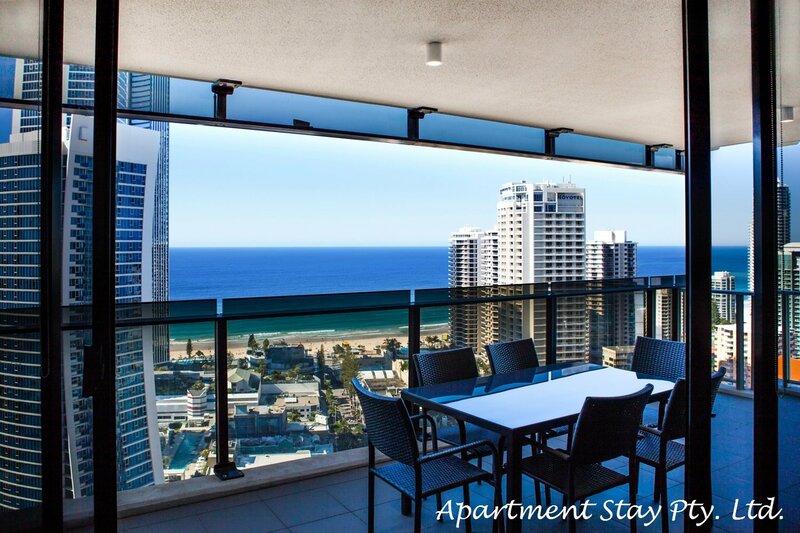 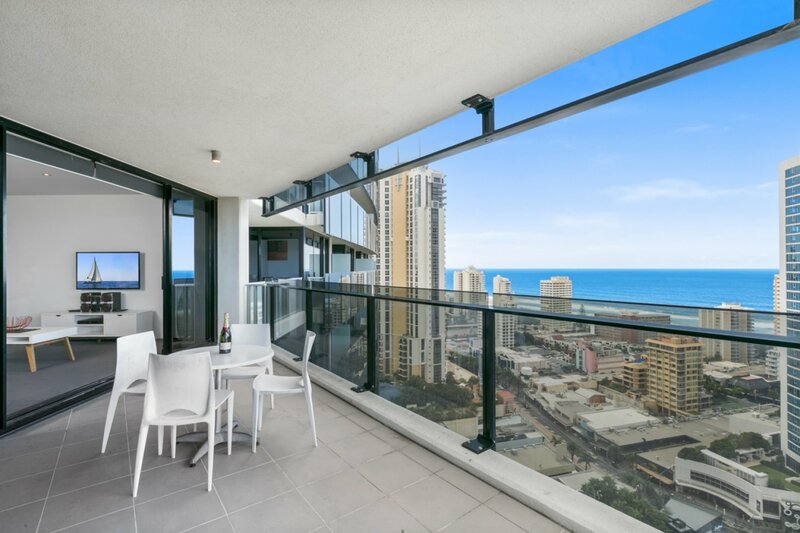 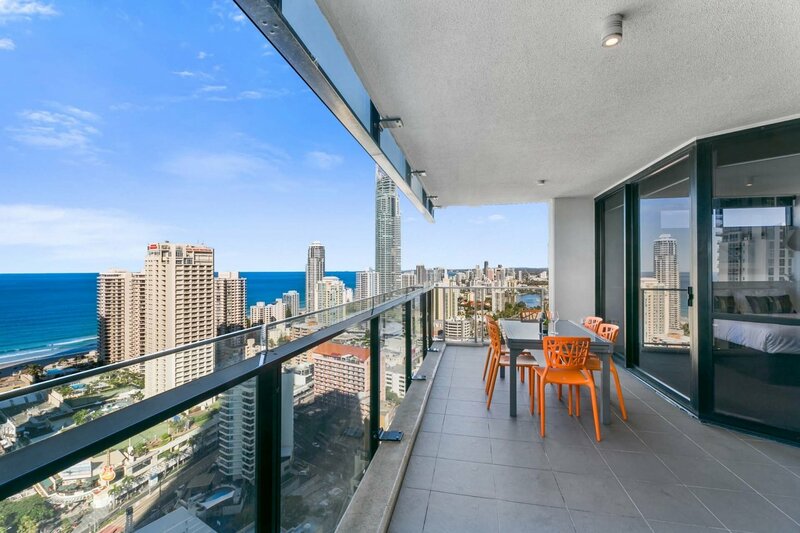 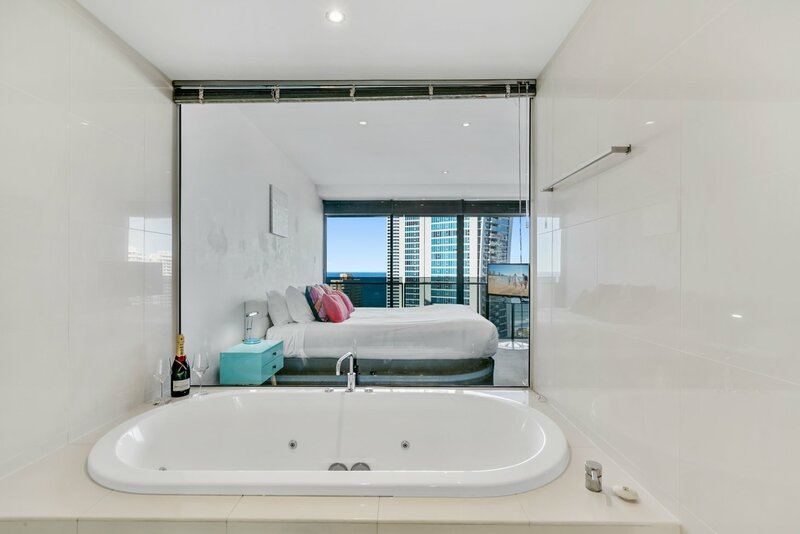 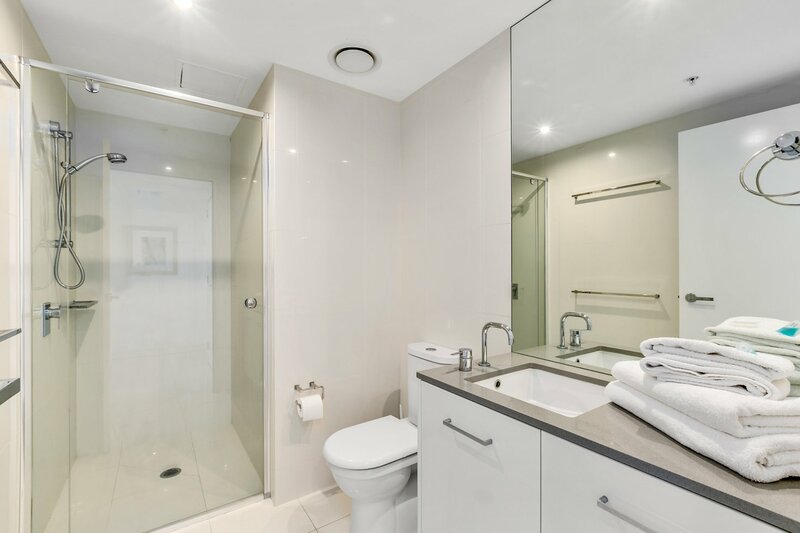 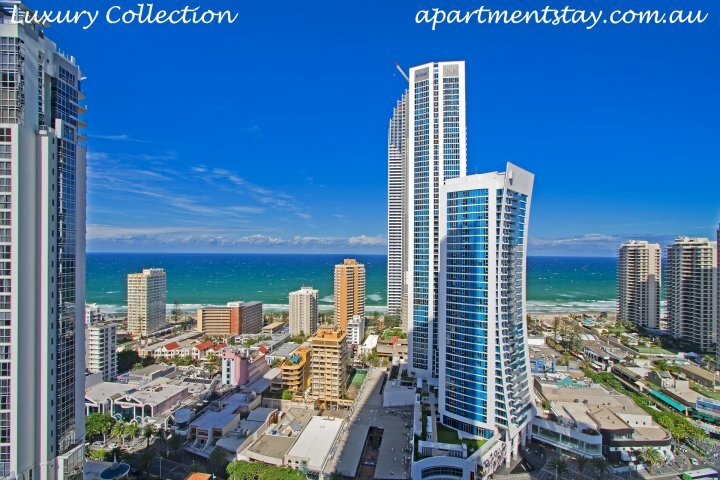 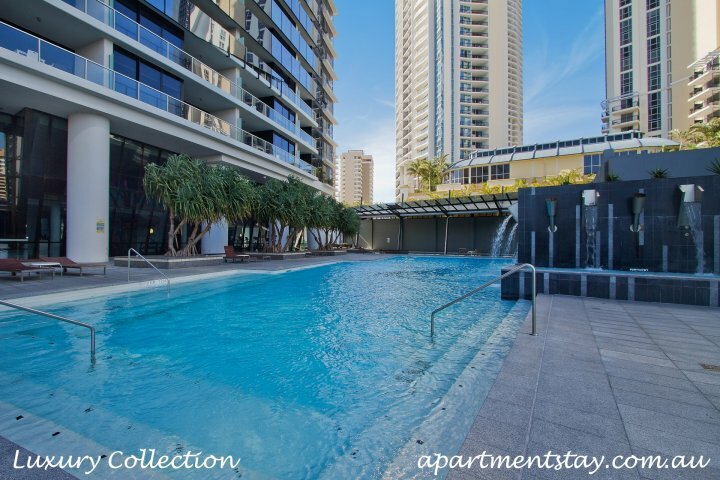 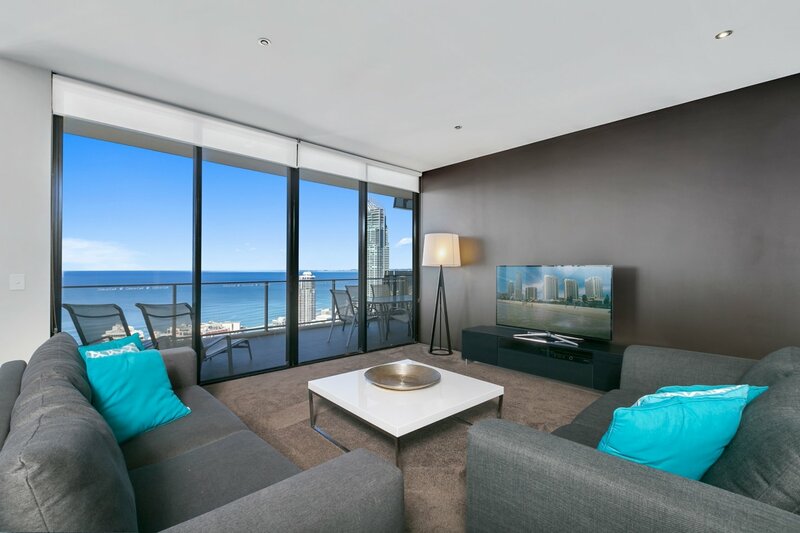 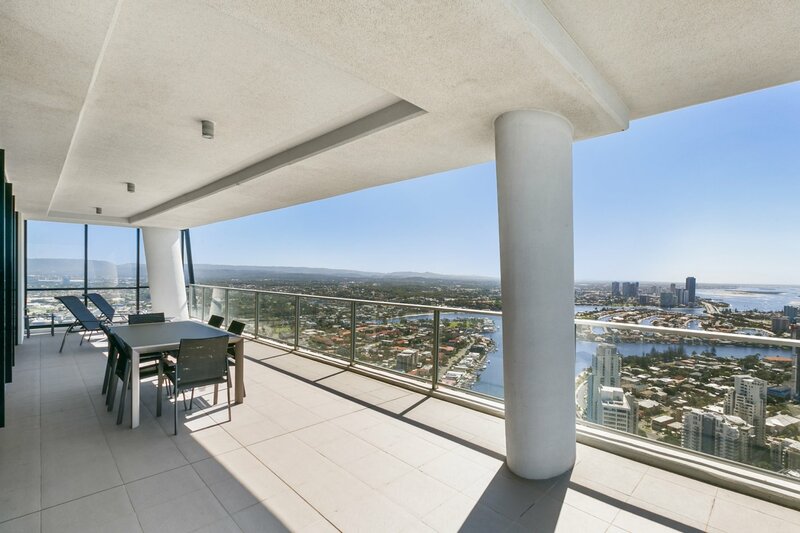 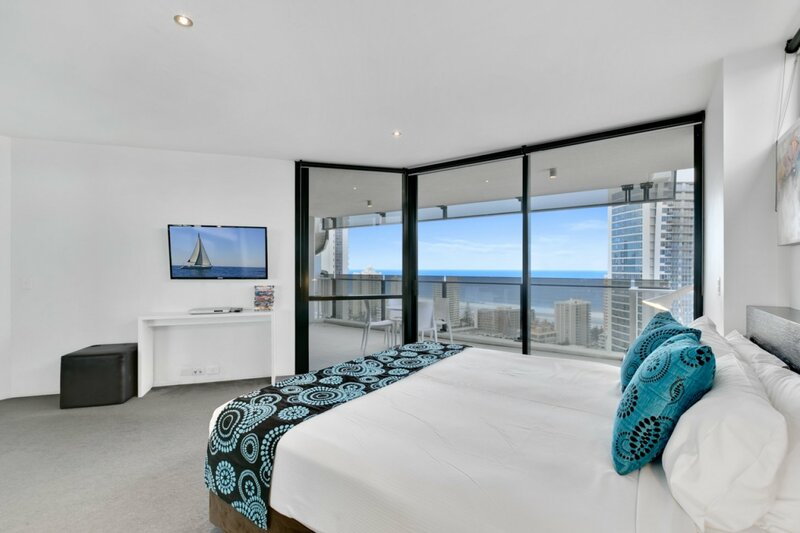 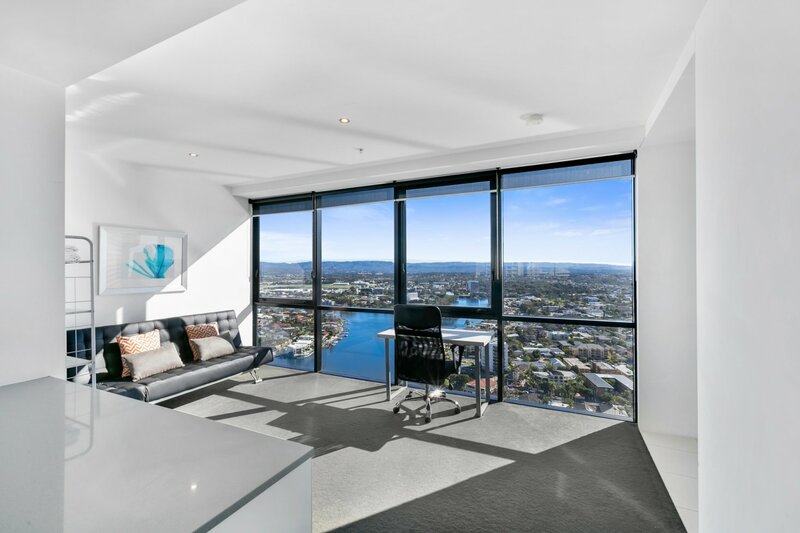 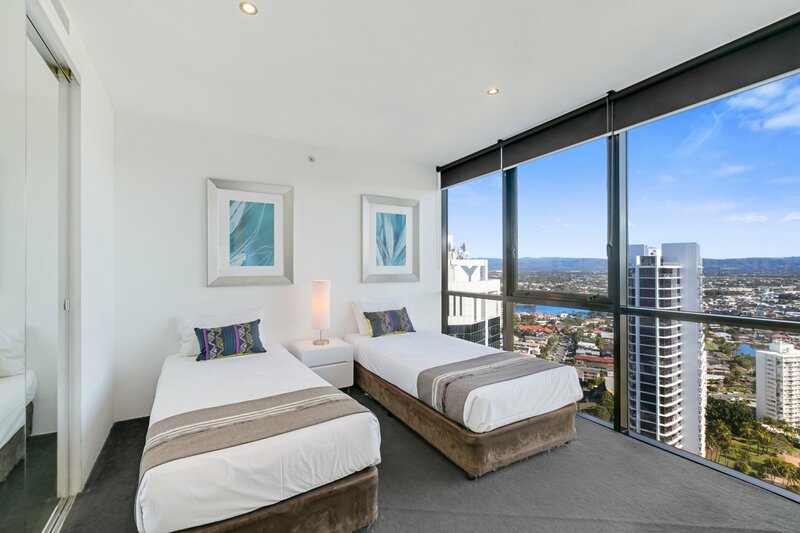 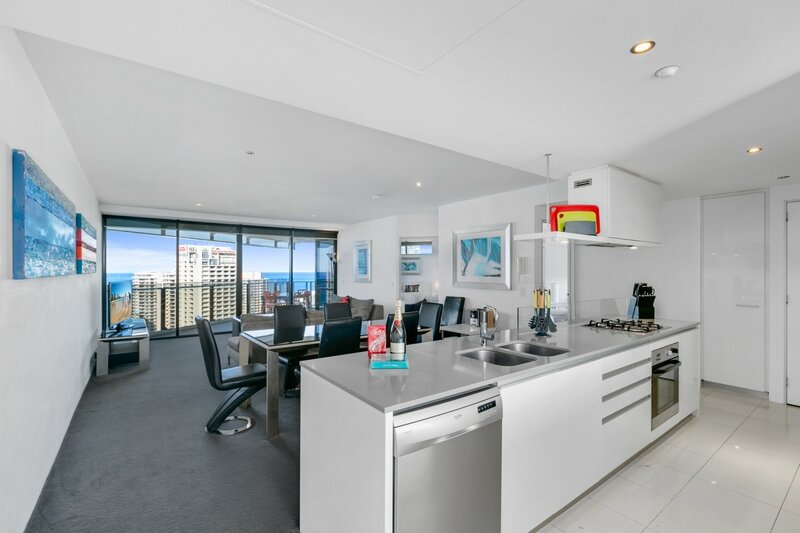 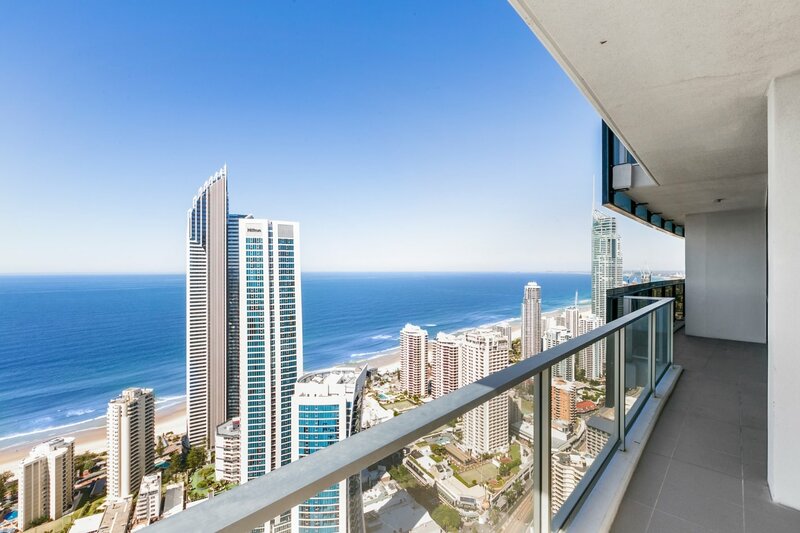 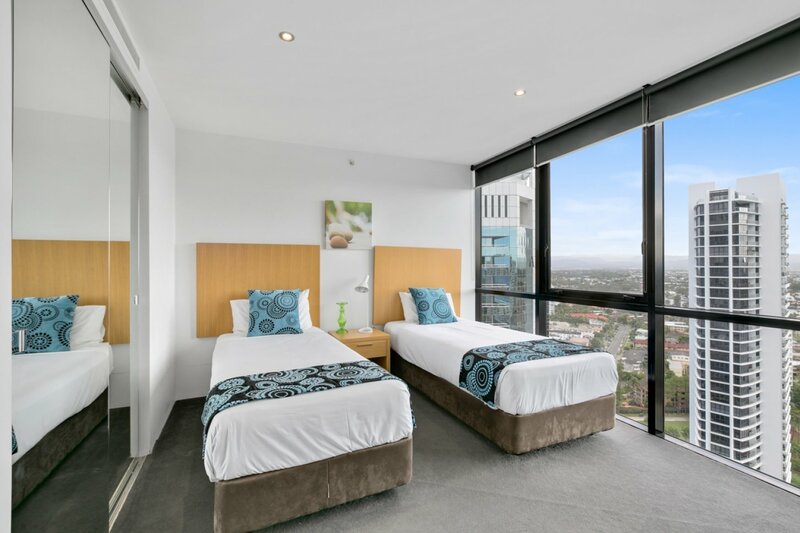 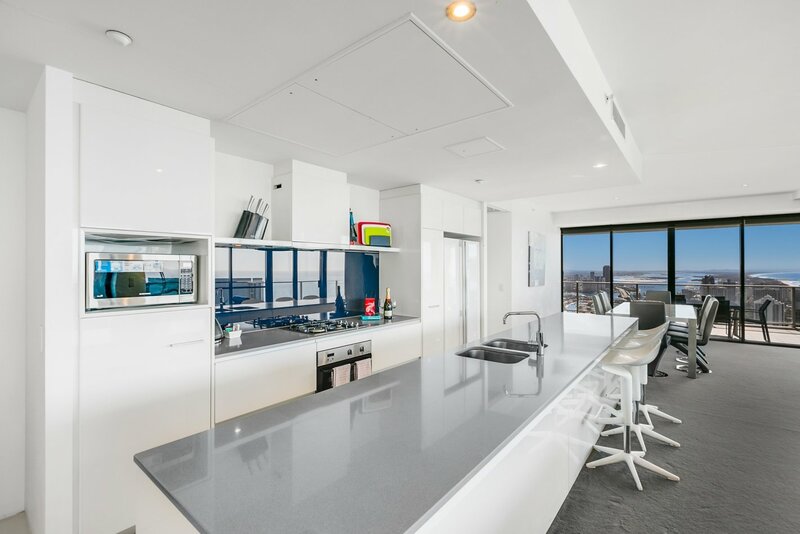 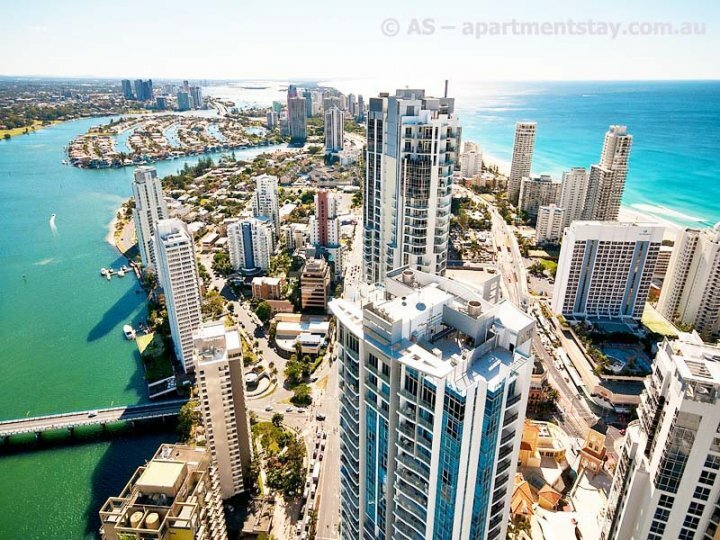 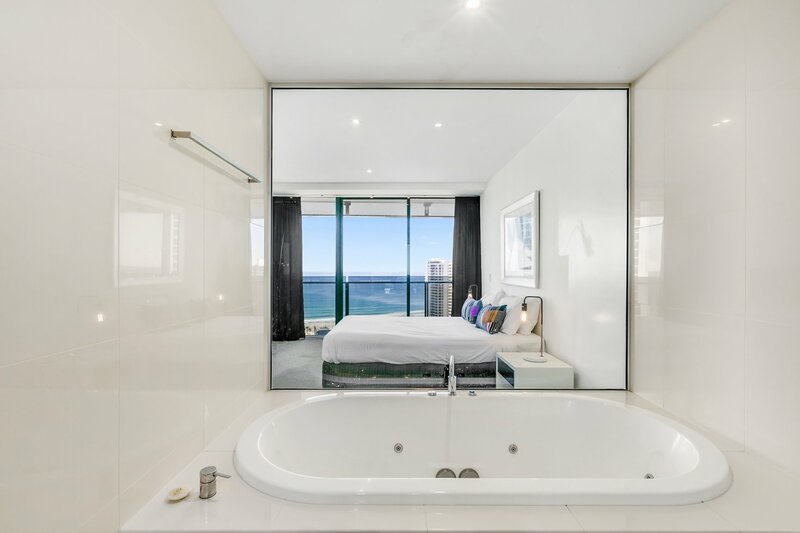 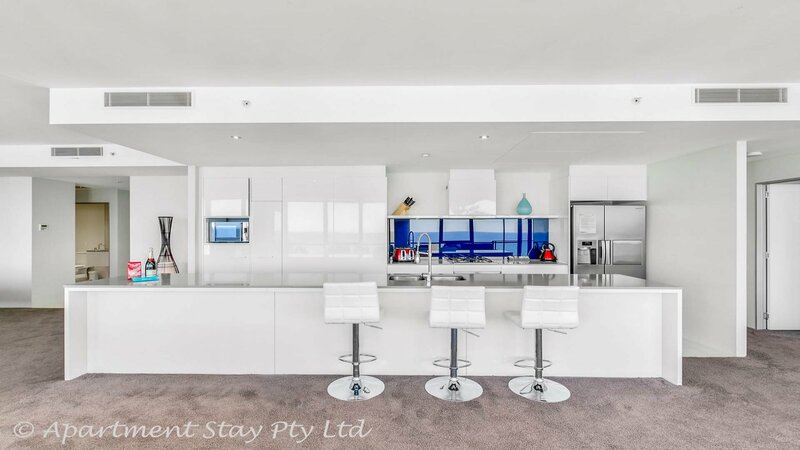 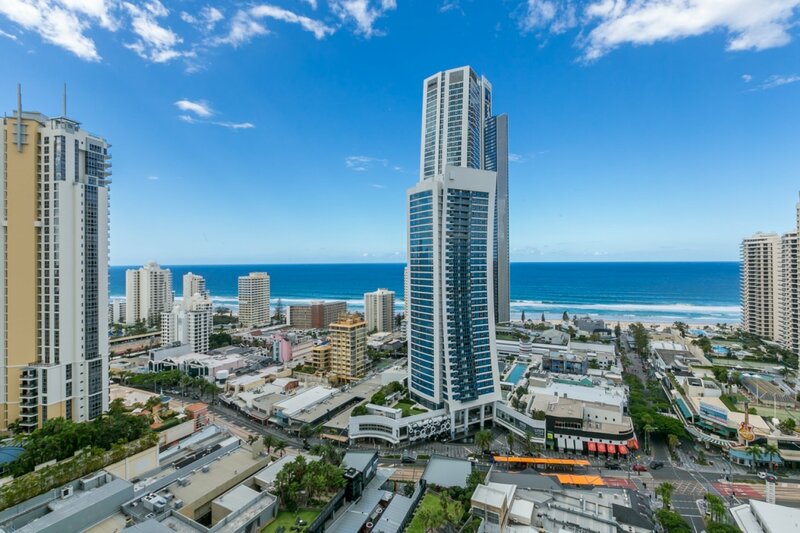 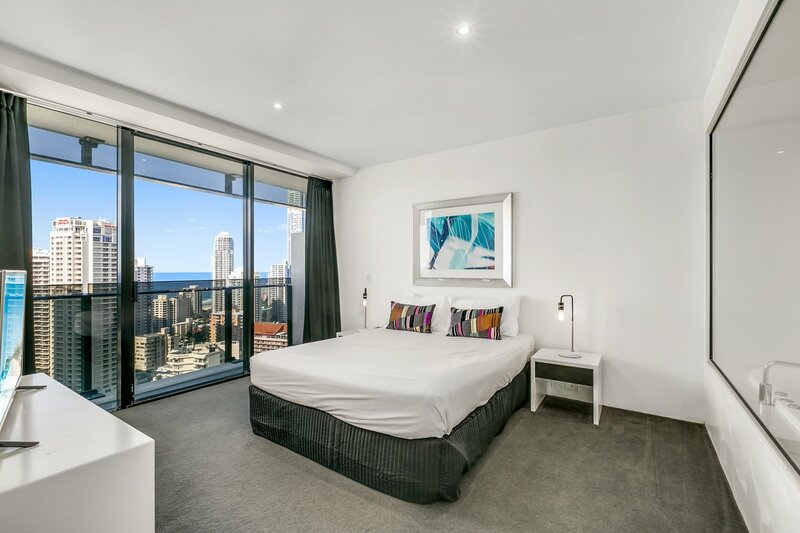 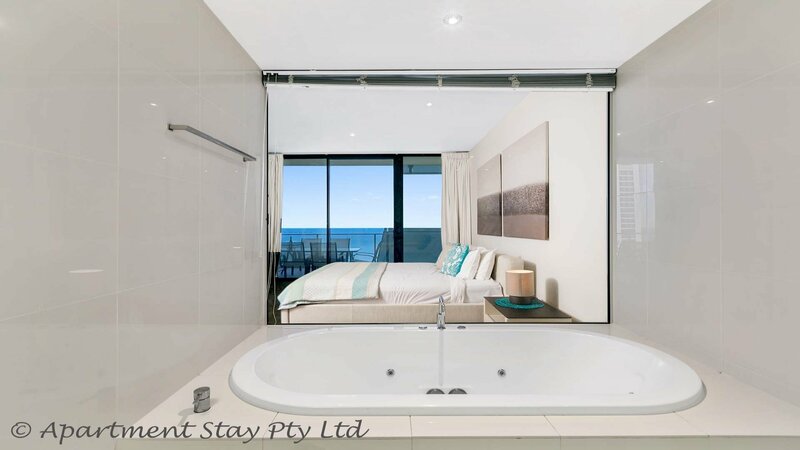 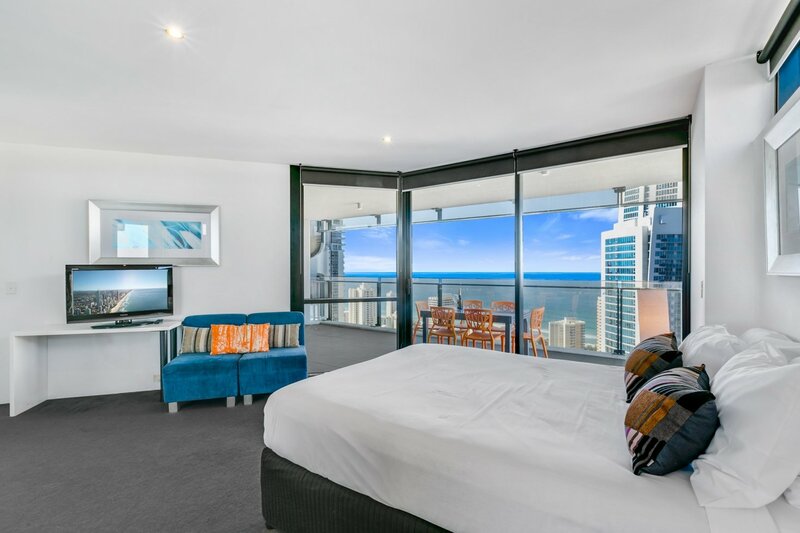 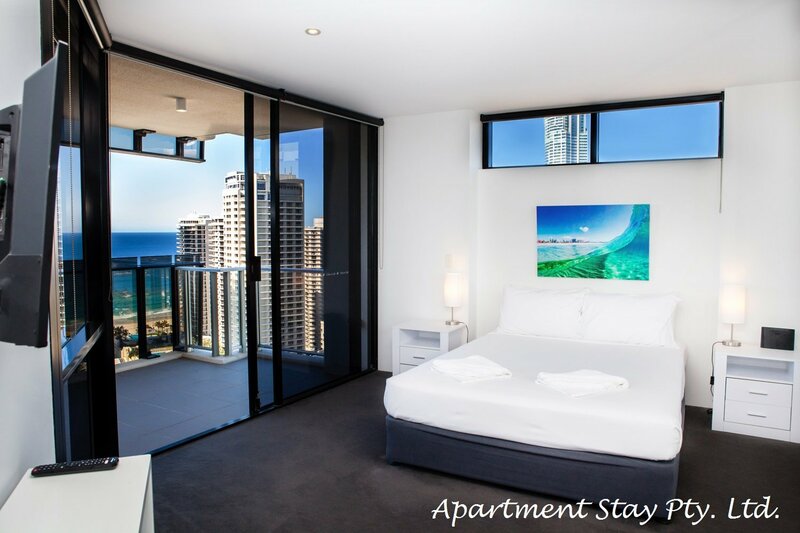 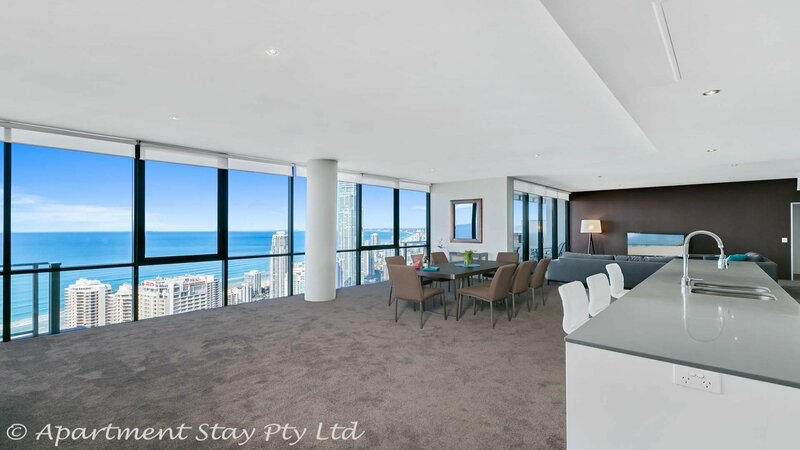 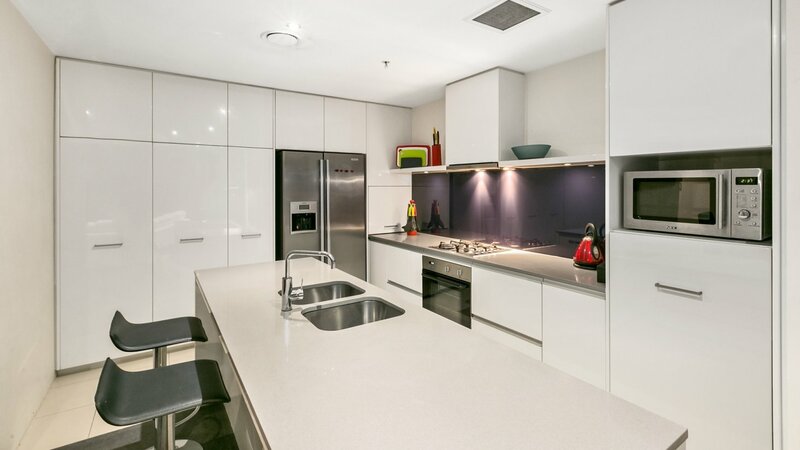 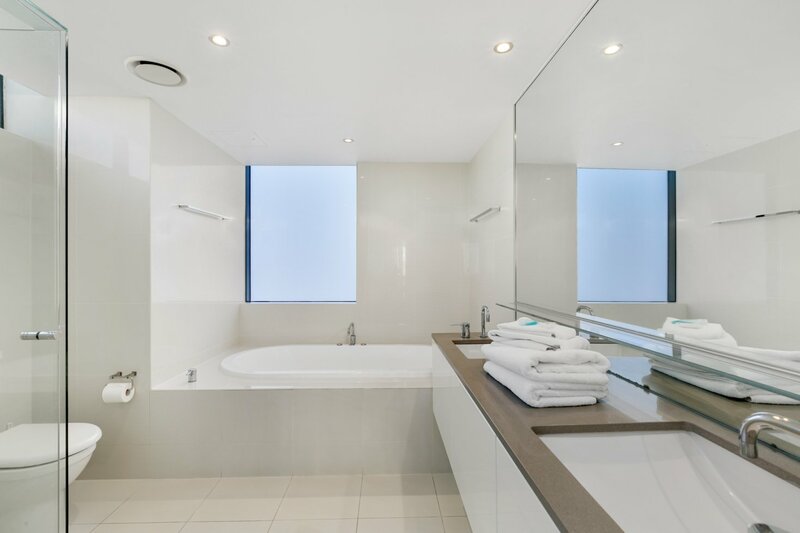 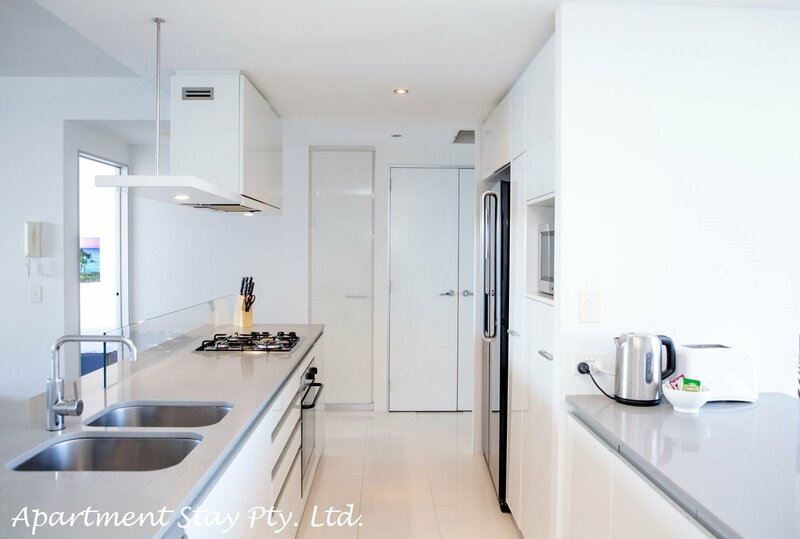 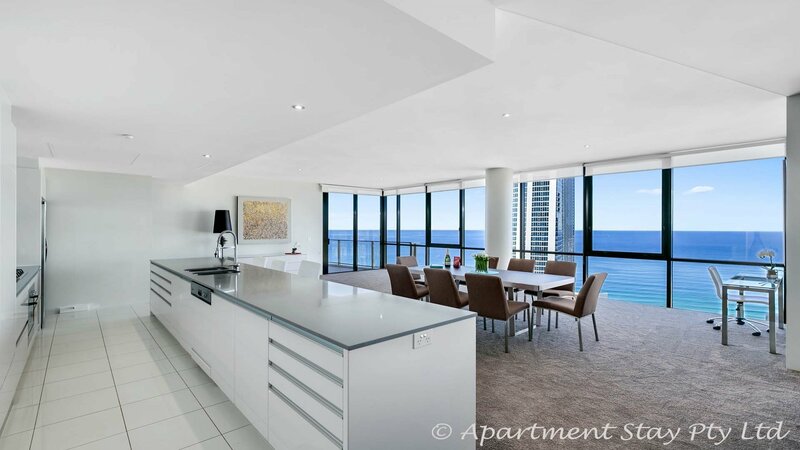 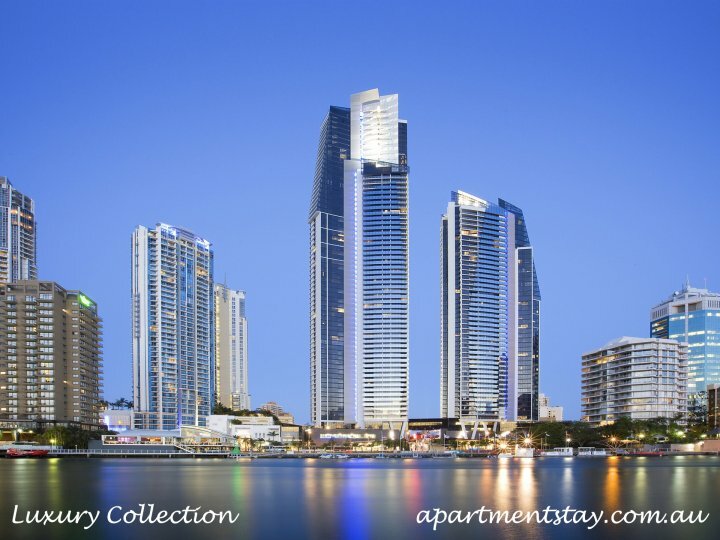 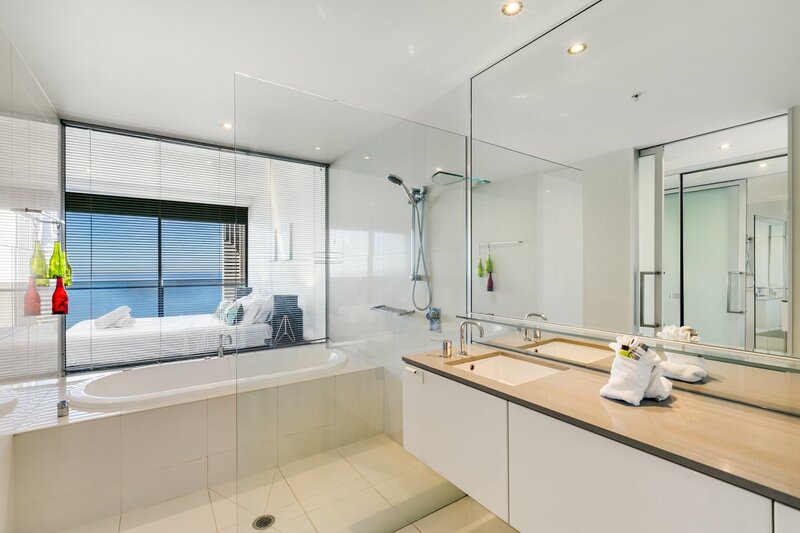 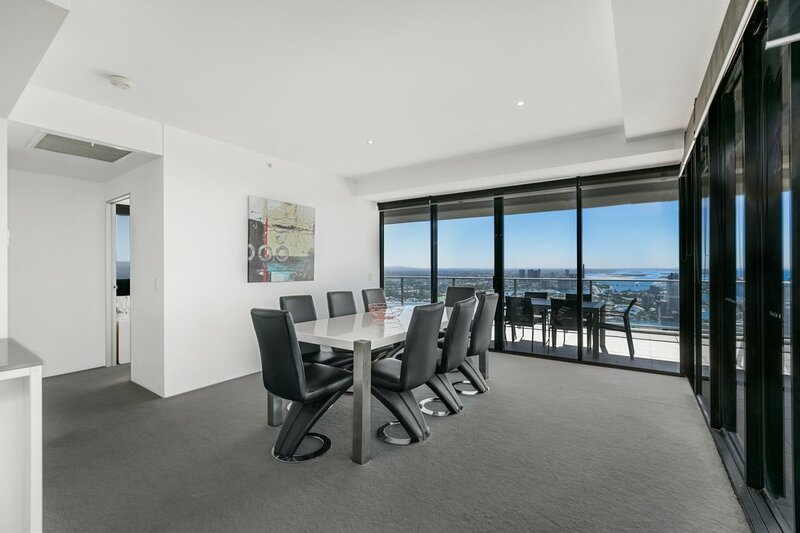 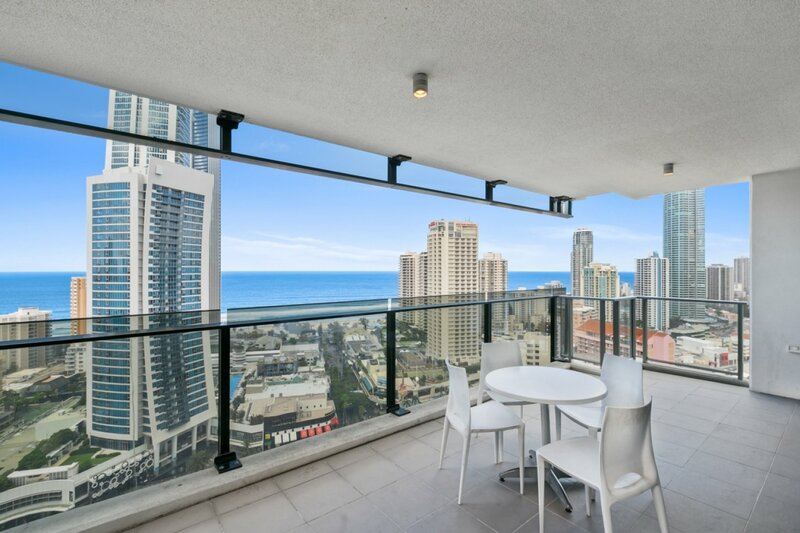 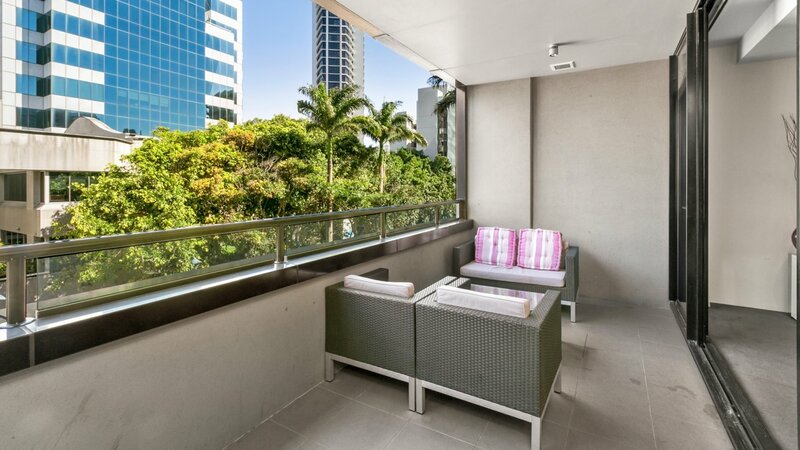 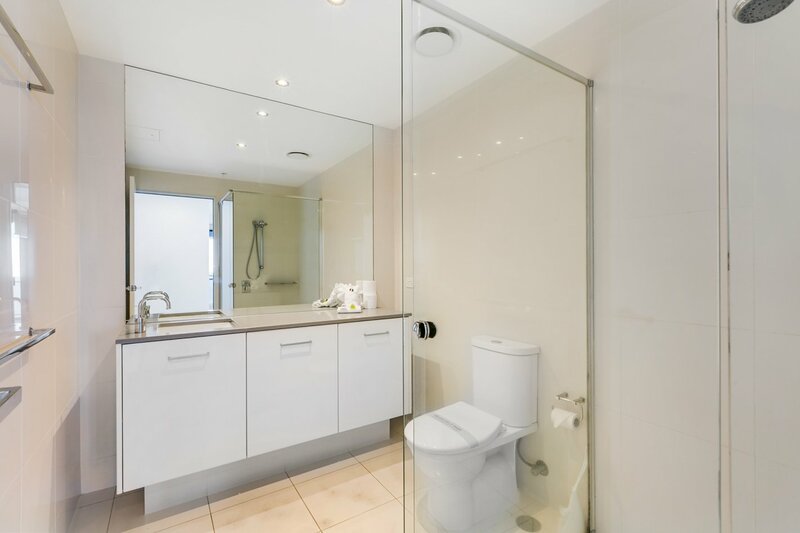 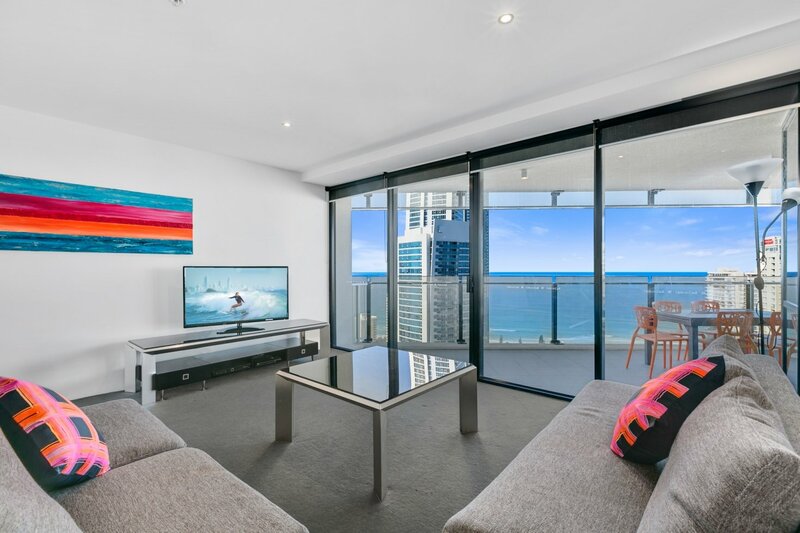 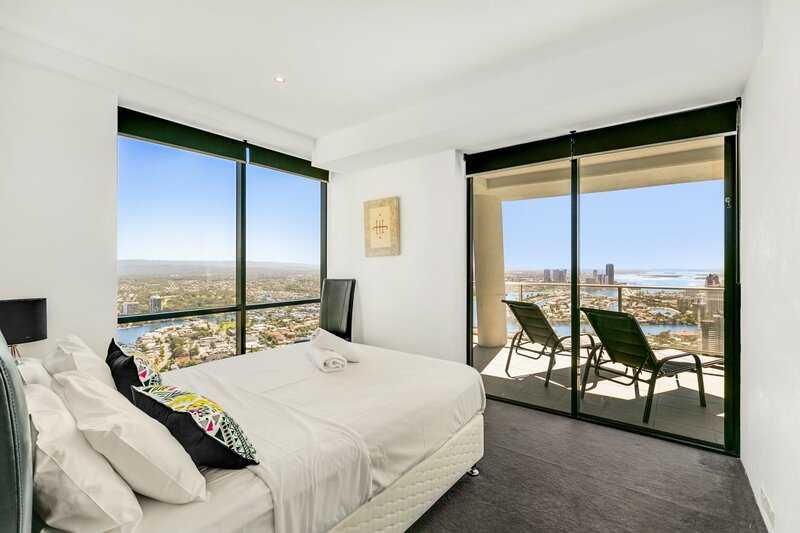 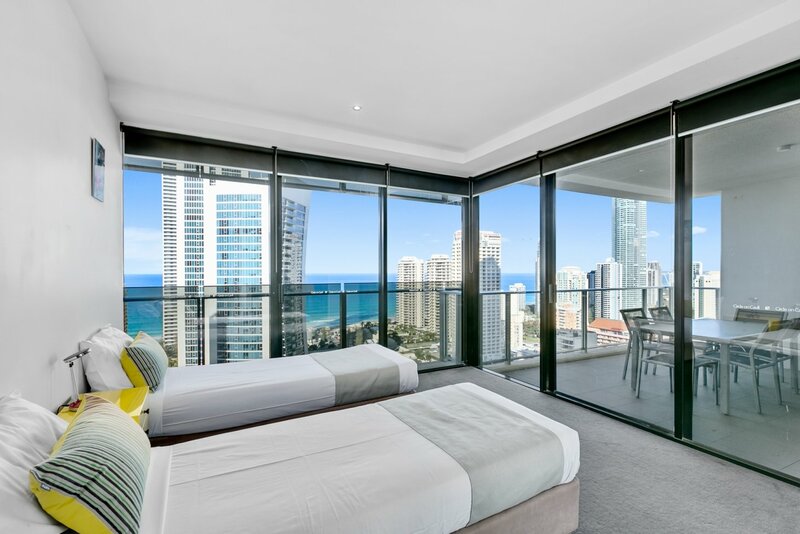 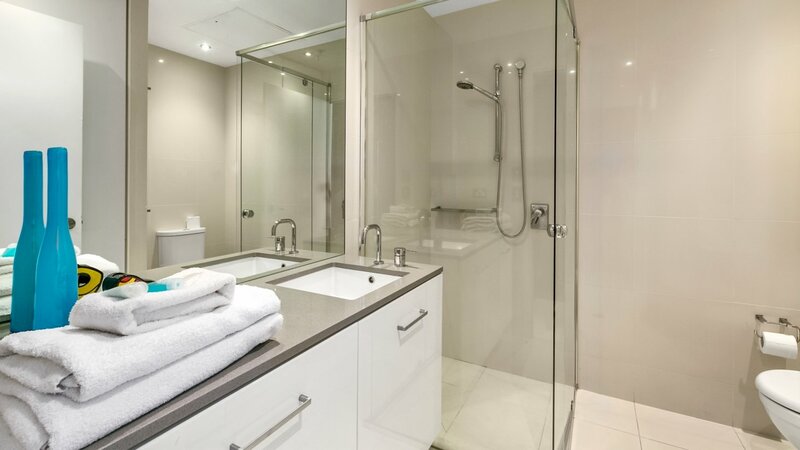 These apartments offer luxury holiday living, convenience, and luxury amid the backdrop of the beautiful "Famous for Fun" Gold Coast lifestyle, of sun, sand, sea and surf. 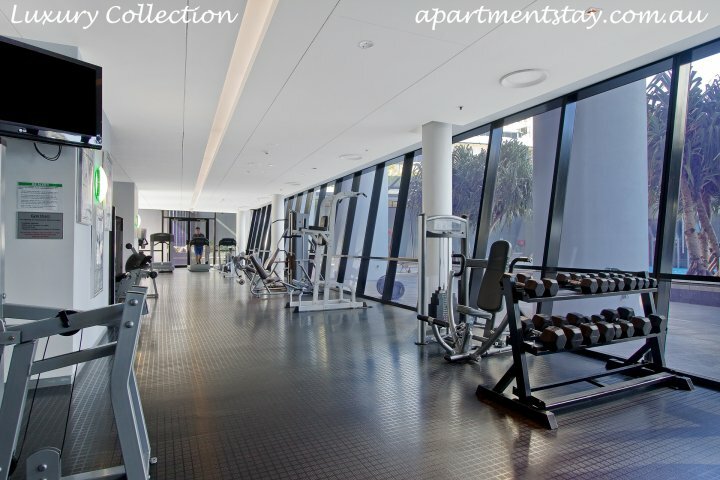 Check In time is after 200 pm. 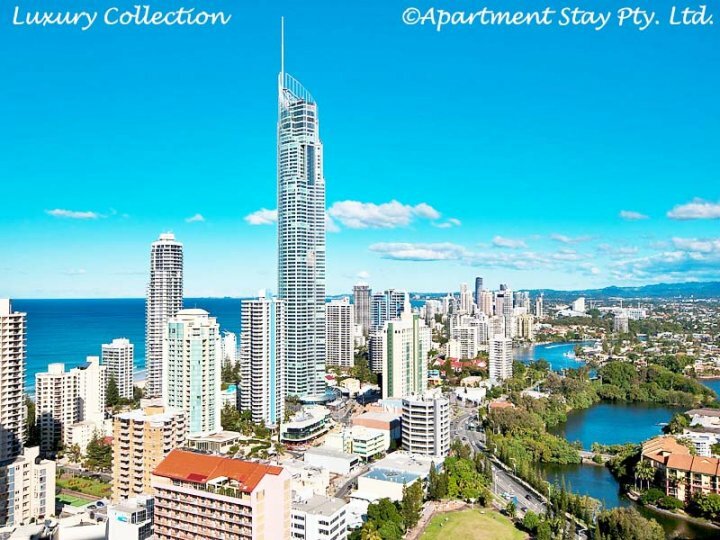 An Apartment Stay Staff will personally meet and greet you on your arrival, show you the apartment and also answer questions you may have regarding the apartment and resort facilities. 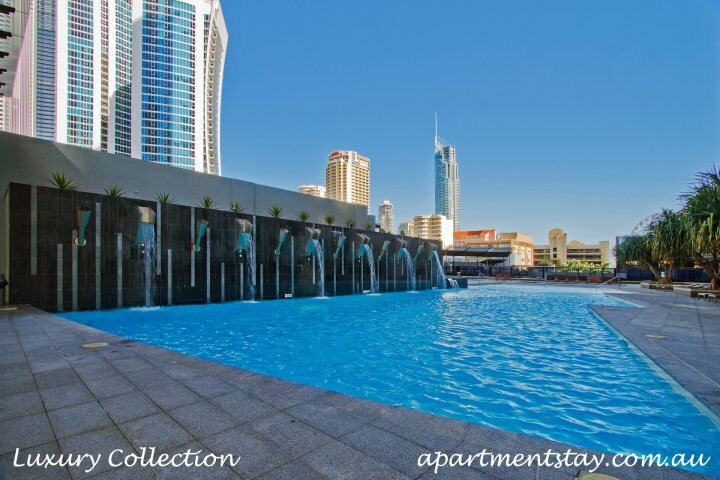 These differ apartment by apartment, please enquire for additional information. 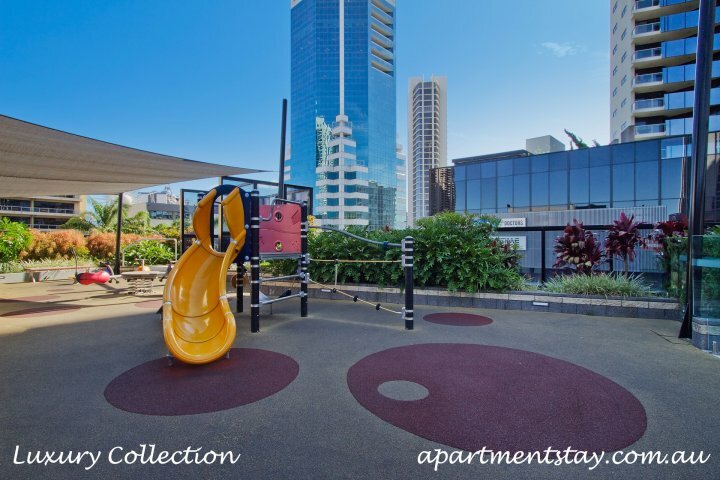 Each apartment has its own allocated car park space.